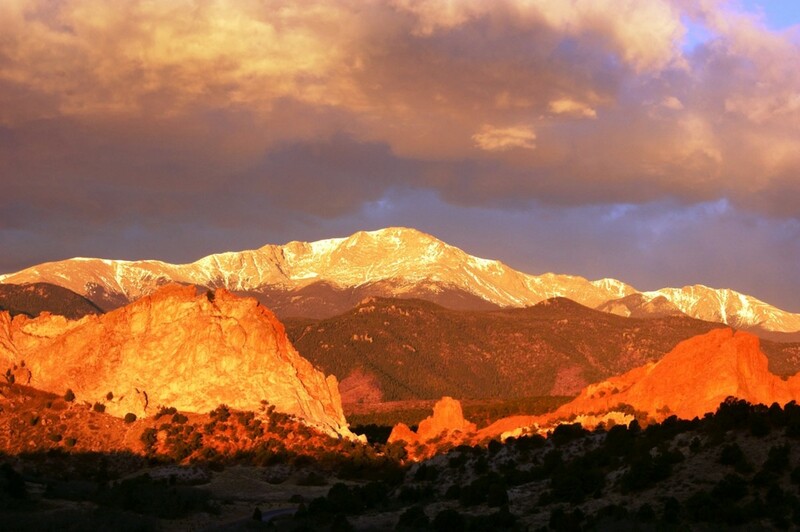 Colorado Springs (6,035 feet) is an incredible place with more than 300 days of sunshine each year. 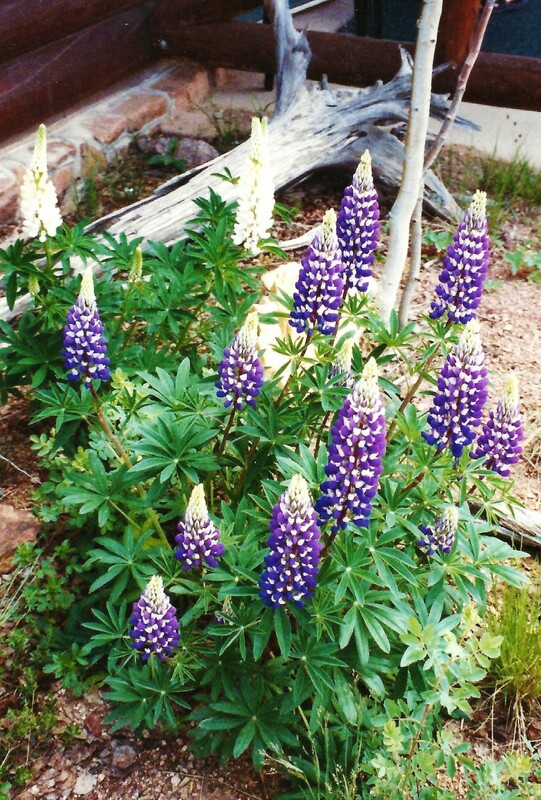 It is in central Colorado along the front range of the Rocky Mountains. 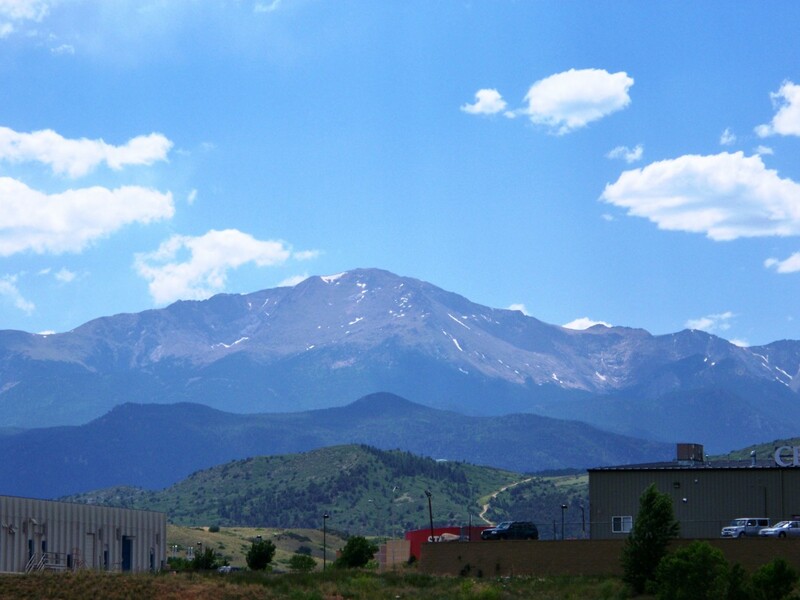 Pike's Peak towers majestically above it. 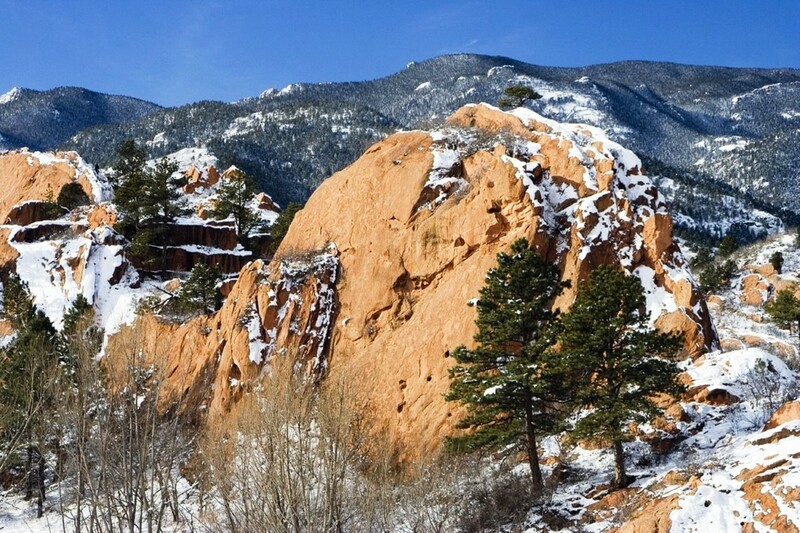 Colorado Springs is home to several unique and beautiful natural wonders. There is so much to see and do there. 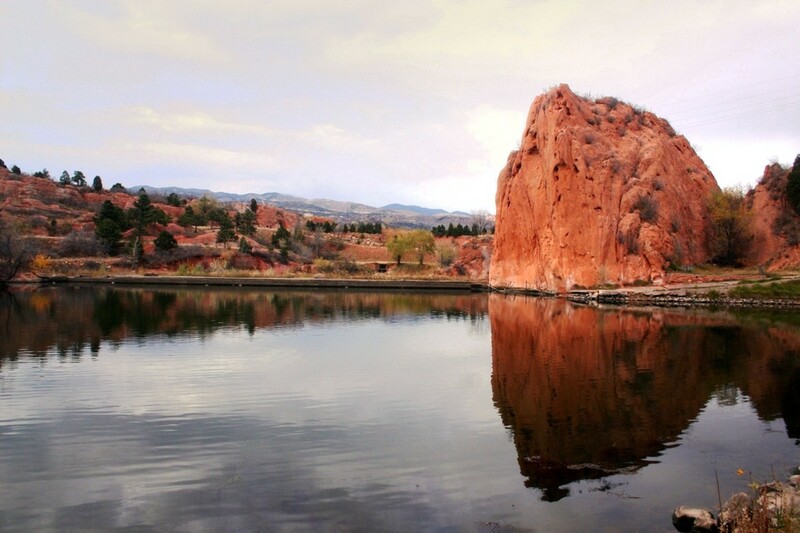 Here is a look at the top 10 things to do in Colorado Springs. 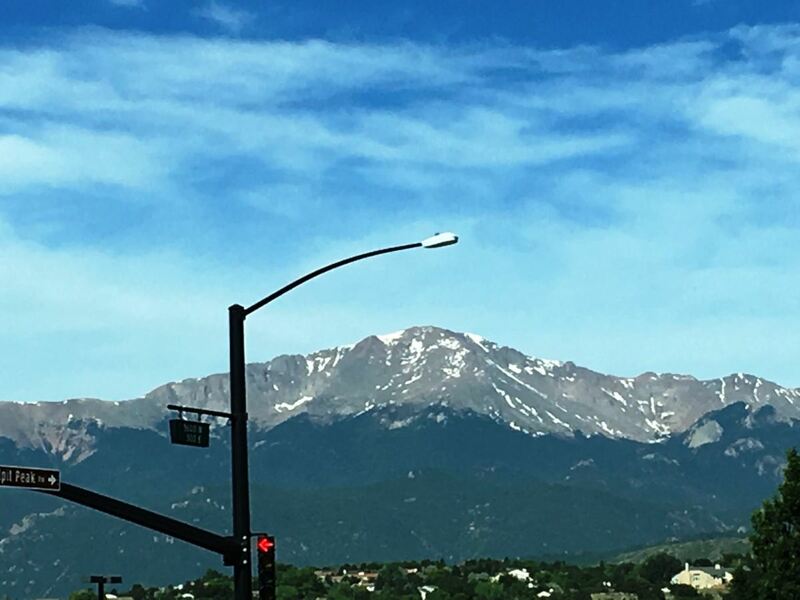 Pikes Peak (14,110 feet) is incredible! 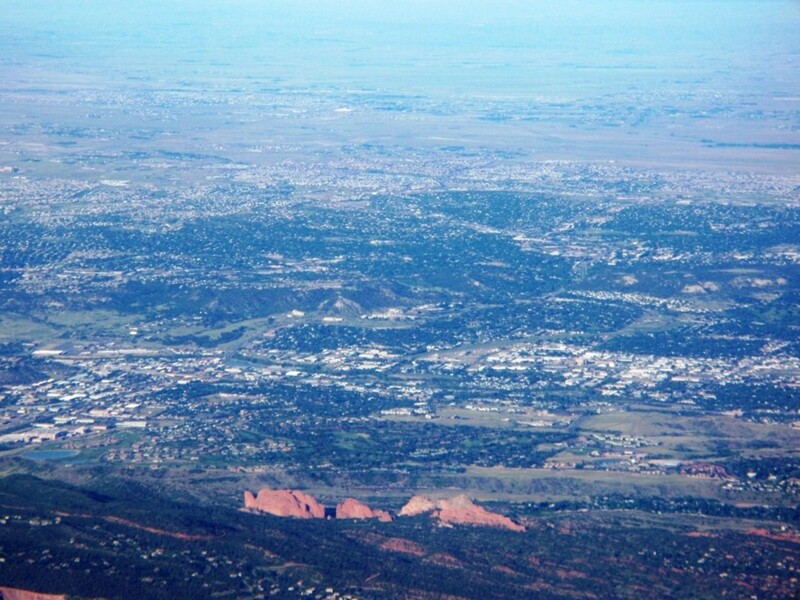 It is stunningly beautiful as it sits over 8,000 feet above Colorado Springs. 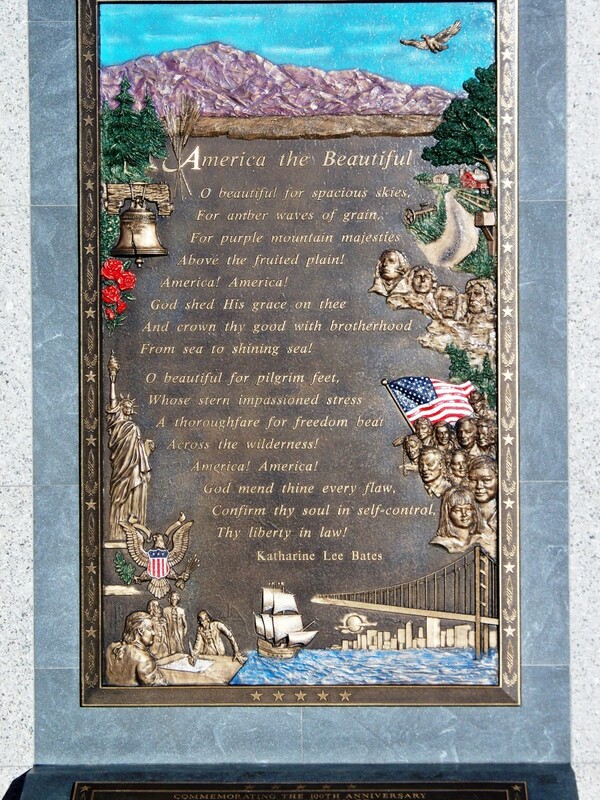 The tremendous view from its summit inspired Katherine Lee Bates to write the words to America the Beautiful. 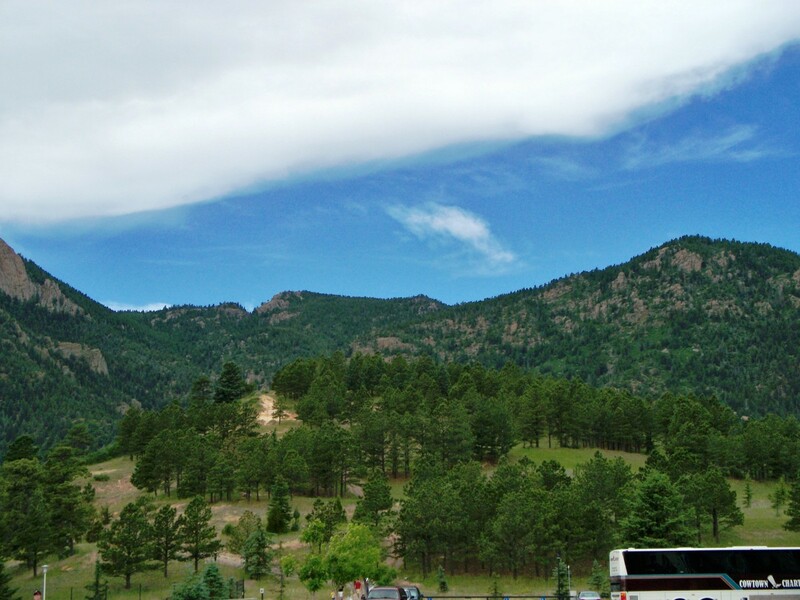 Hence its nickname, "America's Mountain." I remember standing at the top and looking in all directions. The views are awesome! 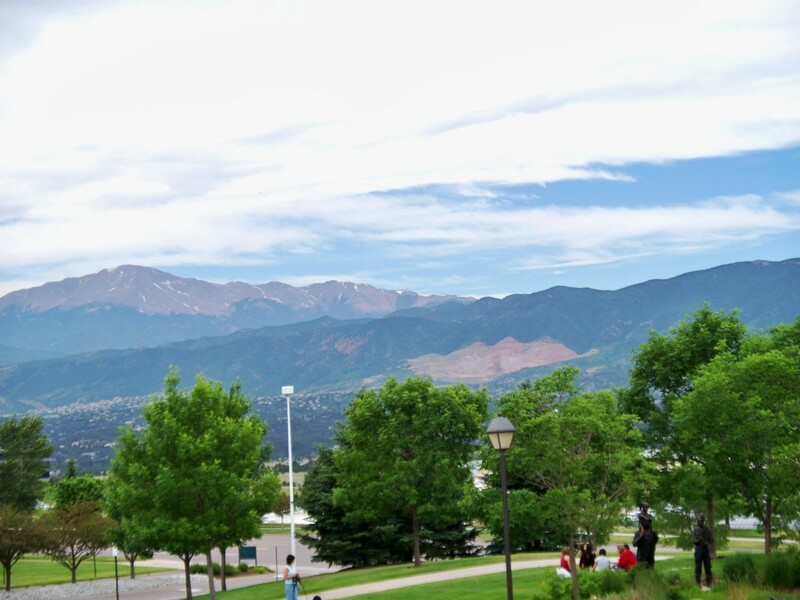 At the visitors center on top of Pikes Peak be sure to try a high altitude donut. There are very tasty. 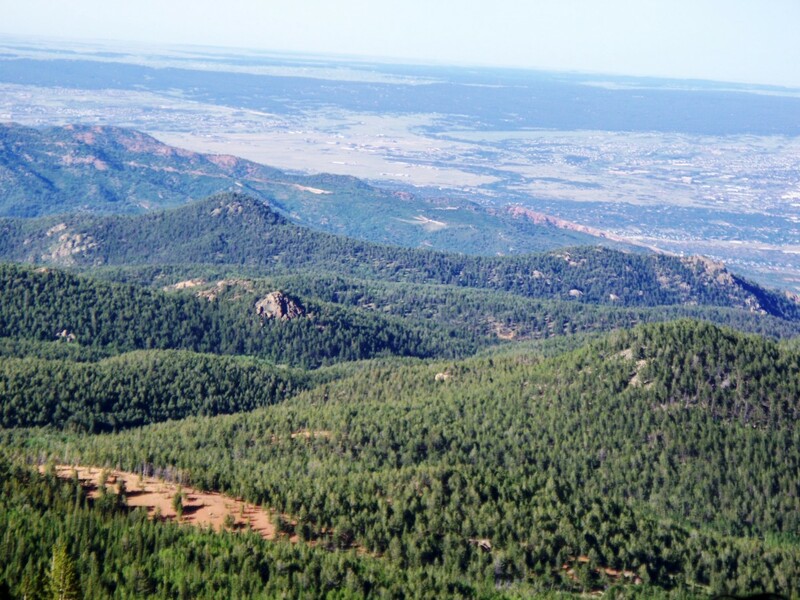 There are several ways to get to the to: drive, Pikes Peak Cog Railway, or hike the Barr Trail. 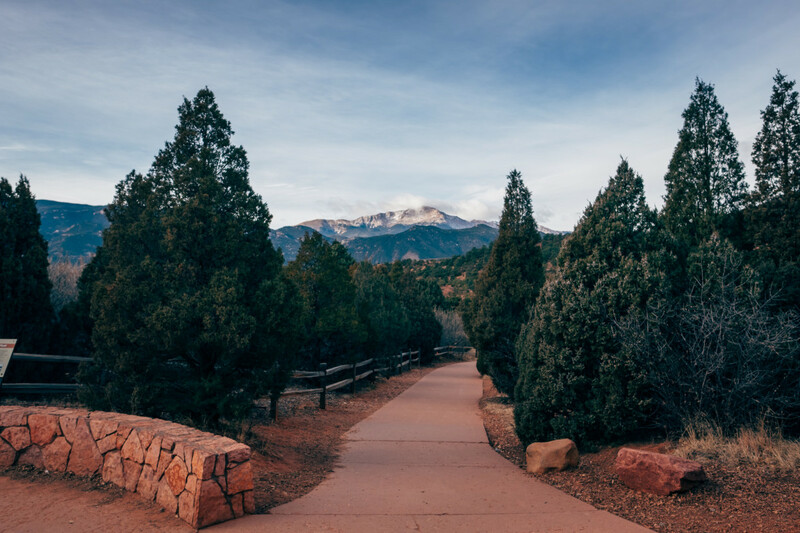 Here is a look at the two easiest ways to get to the top of Pikes Peak. 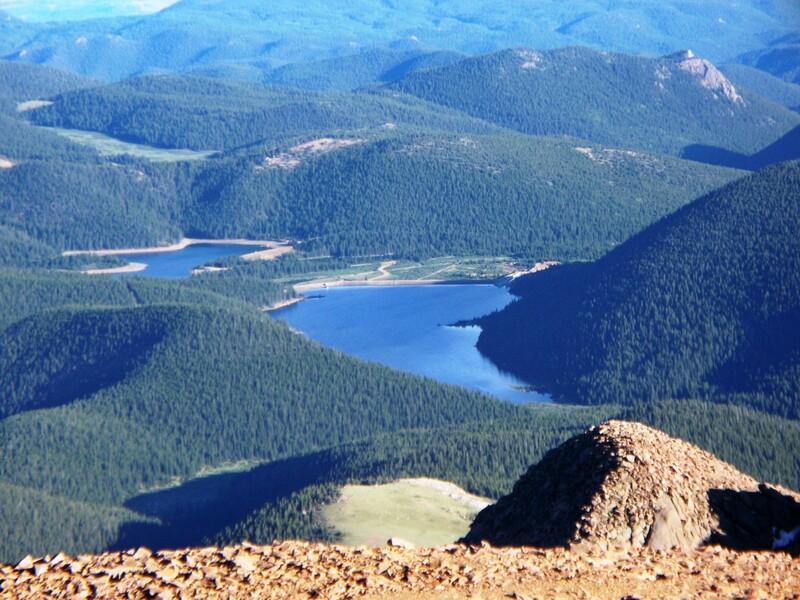 Pikes Peak Highway offers a great way to enjoy the tremendous views on the way to the summit. It is about a 19-mile drive to the top. Be sure to have at least a half a tank of gas. 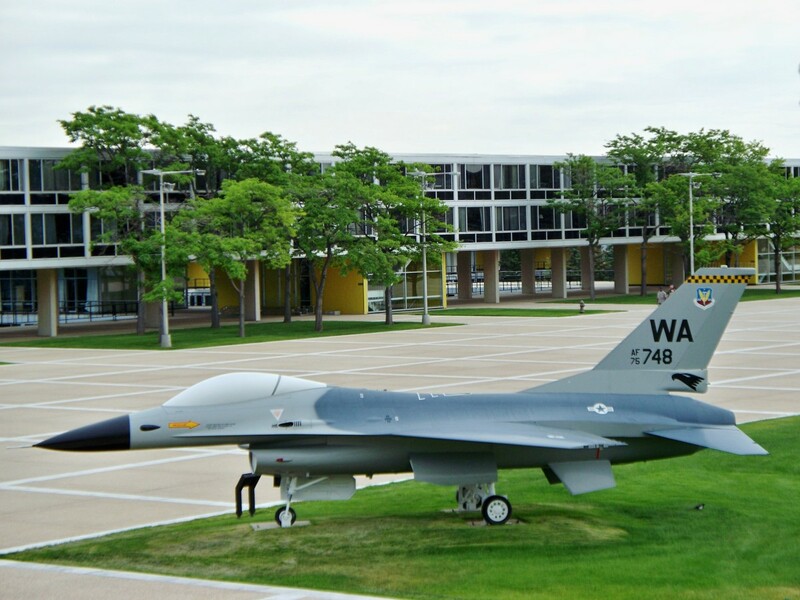 All visitors are required to pay a $35 per car admission fee. 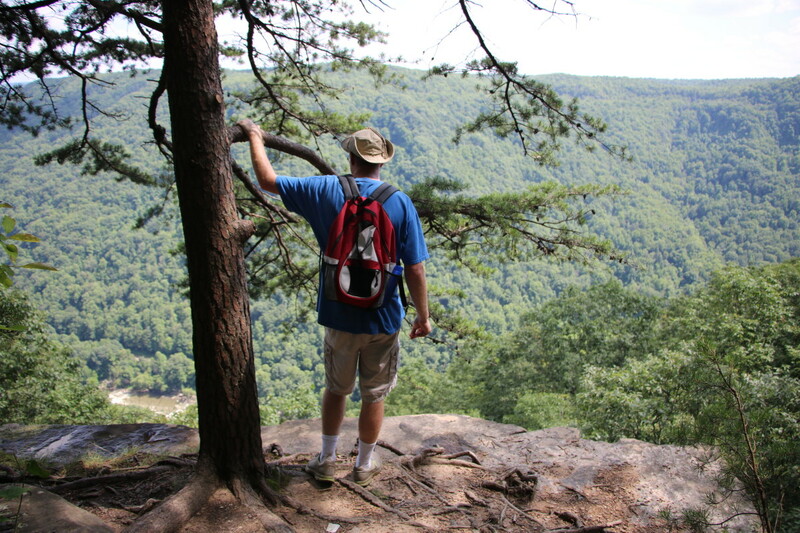 There are numerous places to turn out and take in the incredible views. 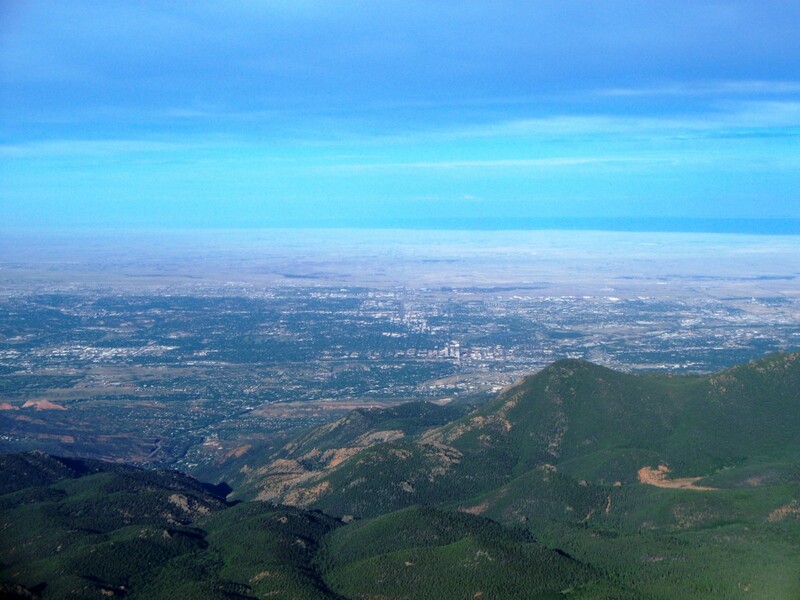 The most spectacular views are between Glen Cove and the summit. On the way back down, stay in low gear and avoid riding the brakes which could lead to brake failure. 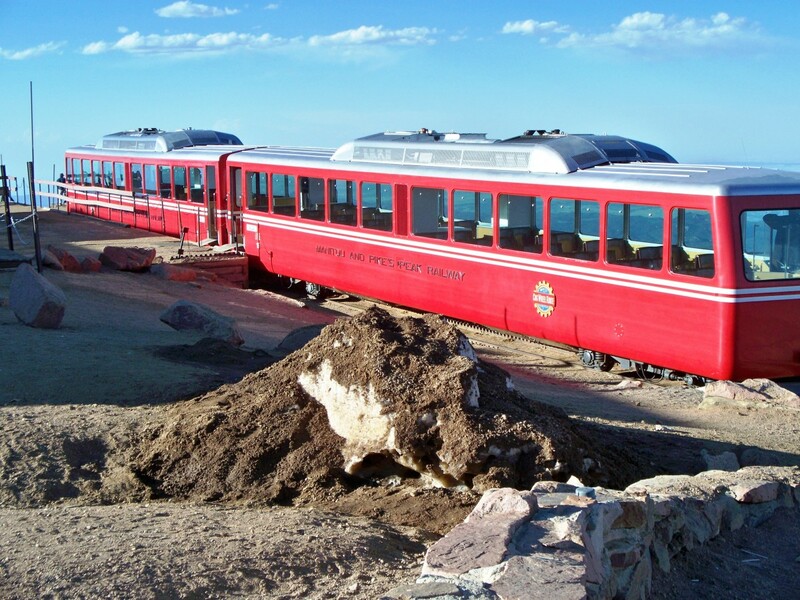 The Pikes Peak Cog Railway is a fun way to get to the summit. 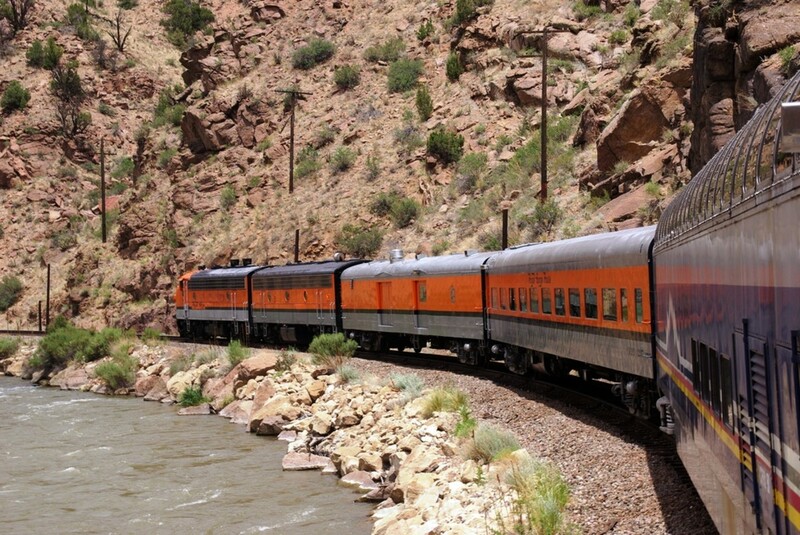 It is the highest operating railroad in the United States. It is unique because it uses a cog and gear system to climb and descend the mountain without slipping. The first mile of track climbs over 2,000 in the first three-quarters of a mile. My family and I bought tickets for a late afternoon ride. It was a relaxing ride with stunning views all around. 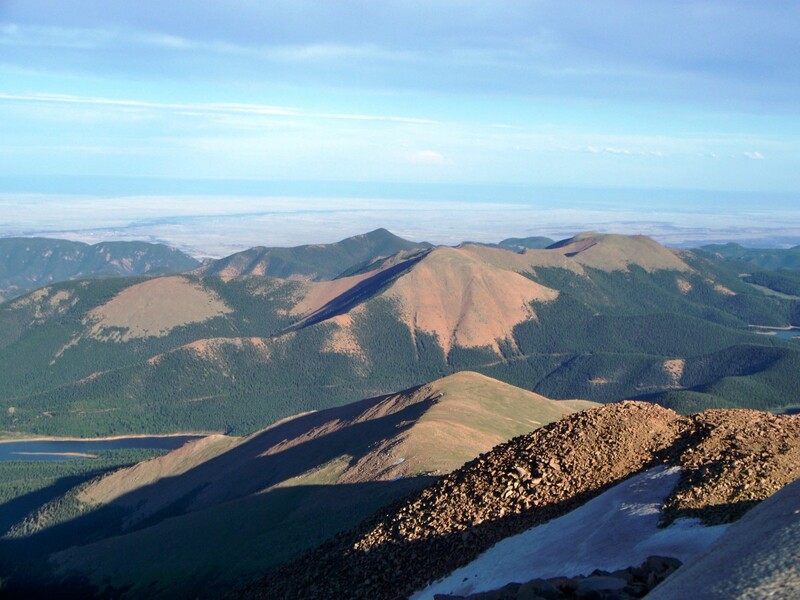 An important thing to remember is that the summit is at over 14,000 feet and has much less oxygen than the station which was at 6,600 feet. It is possible to be a little light-headed when at the summit. 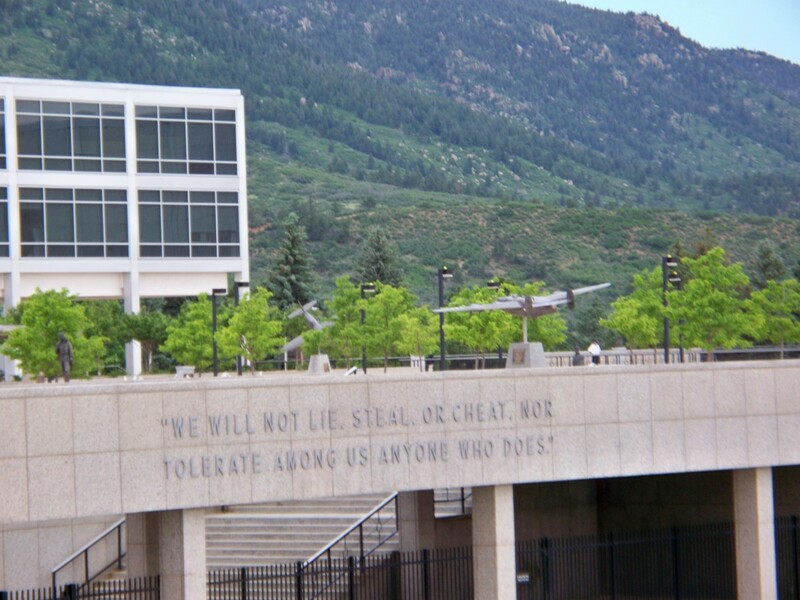 I highly recommend it and a must-do in Colorado Springs. 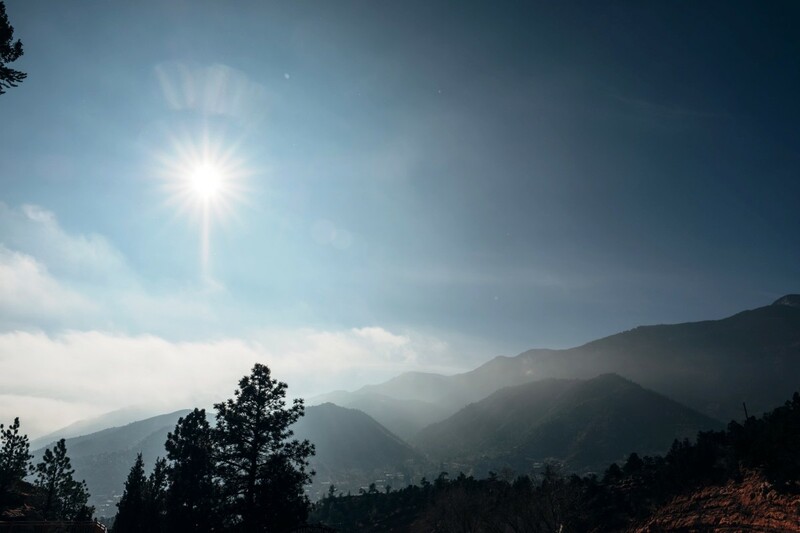 Unfortunately, the Pikes Peak Cog Railway is shut down for maintenance and will not reopen until 2021. They are investing in new equipment and tracks. It is something to keep in mind when visiting in the future. 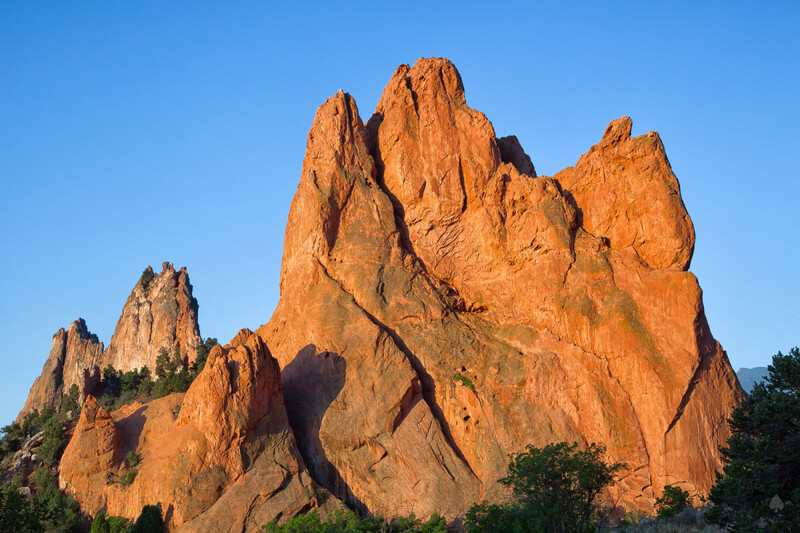 The Garden of the Gods is a must-see. 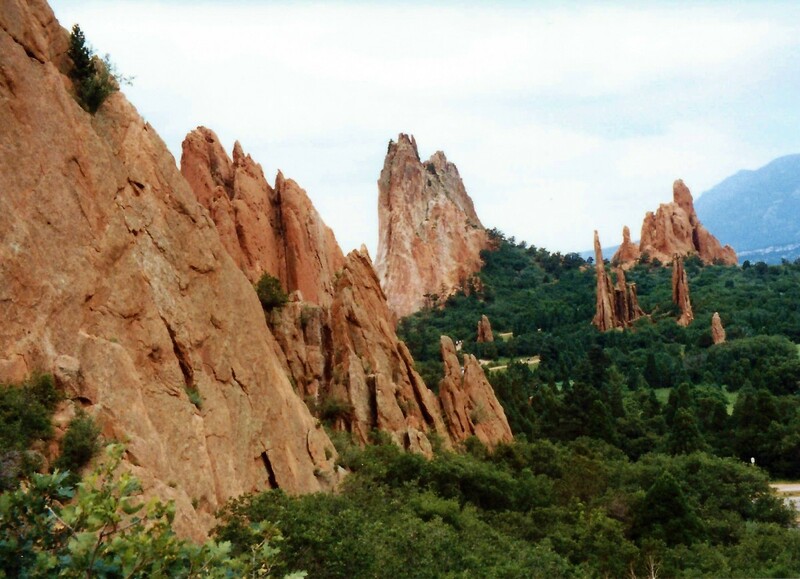 It is one of the most popular attractions in Colorado Springs. 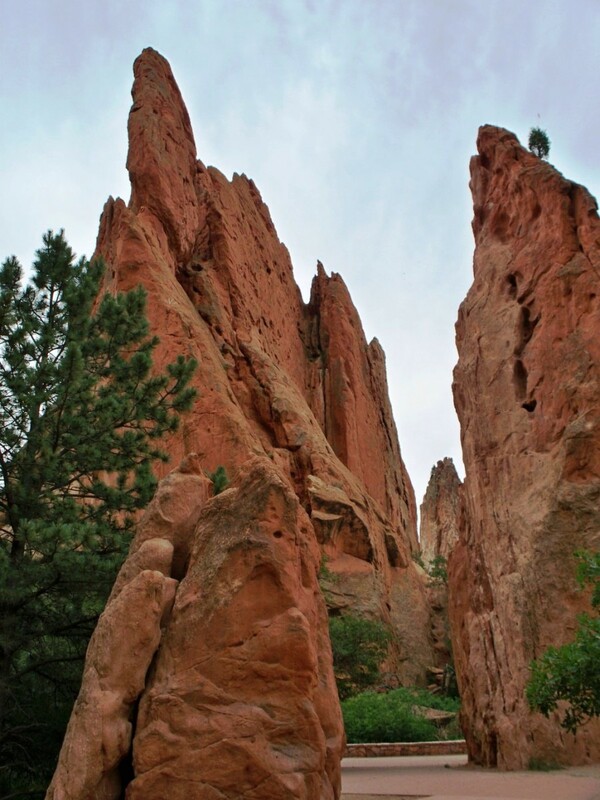 It is known for its red sandstone rock formations that spike up out of the ground to a height of a few hundred feet. 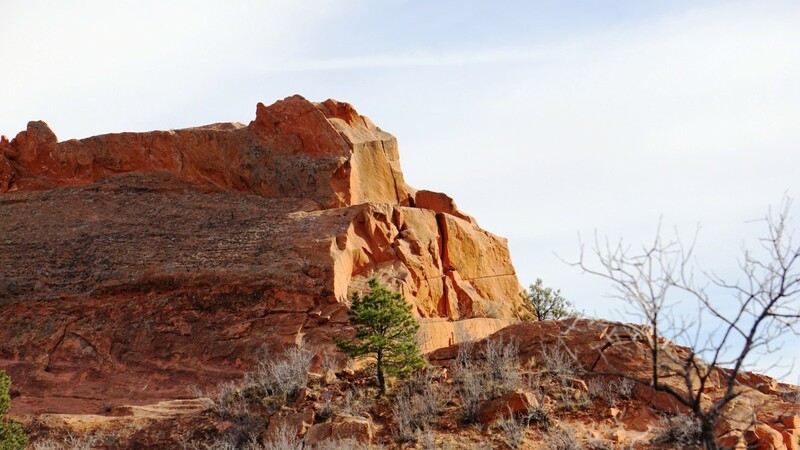 The Arapaho, Cheyenne, Kiowa, and Ute tribes all thought that the rock formations were sacred. 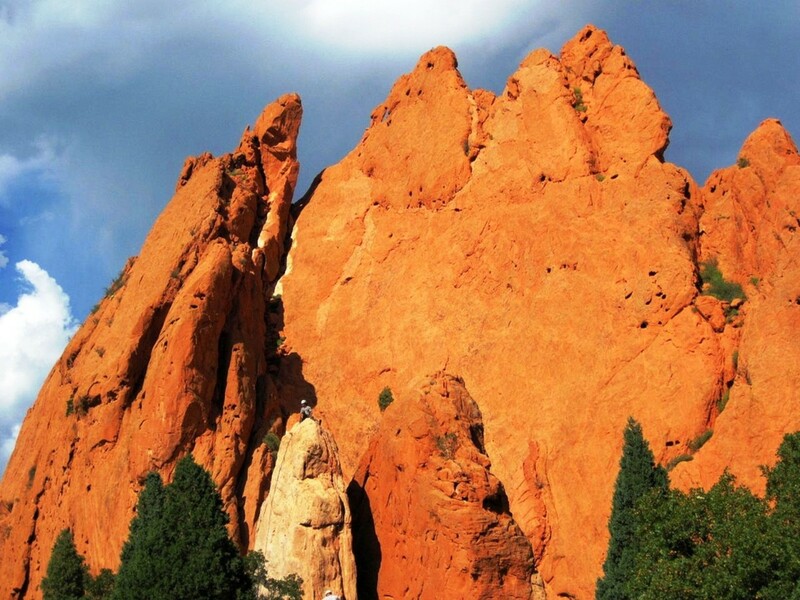 The Garden of the Gods is a hot spot for rock climbing. Groups of climbers head out from the visitor center every 30 minutes. 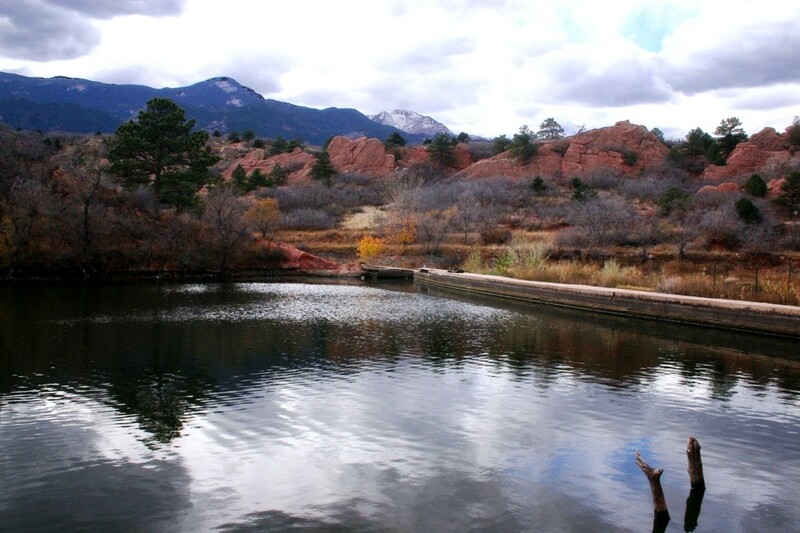 The park also offers numerous hiking trails, jeep and segway tours, and a terrific visitors center. 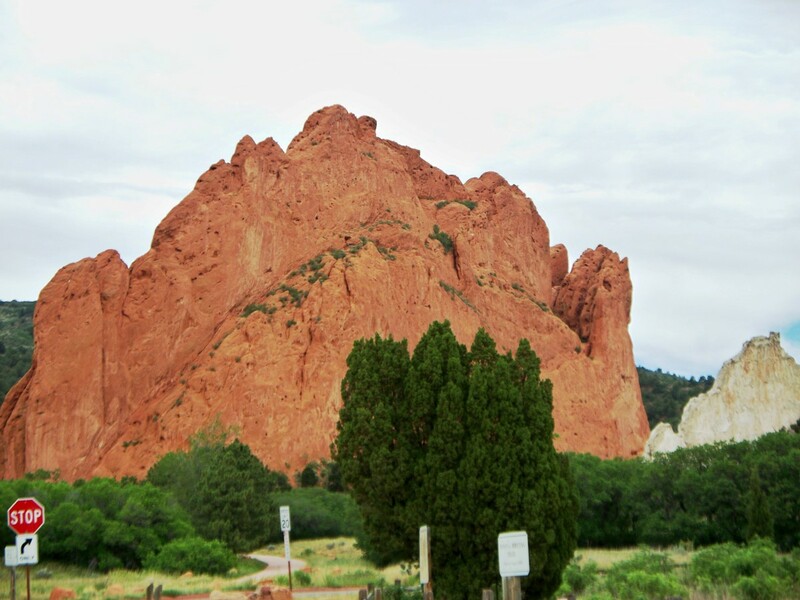 Garden of the Gods is one of the best picture taking spots in Colorado Springs. 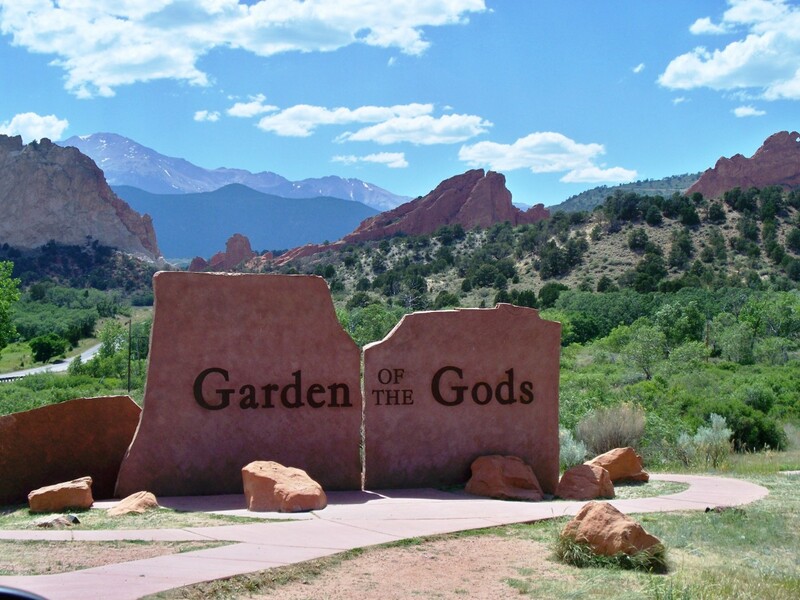 Plan on spending at least several hours at the Garden of the Gods. 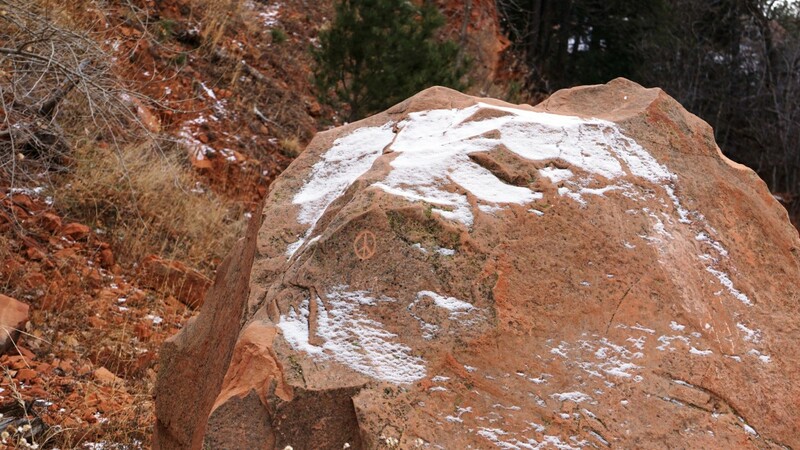 My family and I enjoyed our time at the Garden of the Gods. It was a unique experience. I would suggest visiting early or late in the date as the rocks come to life with the lower sun angle. 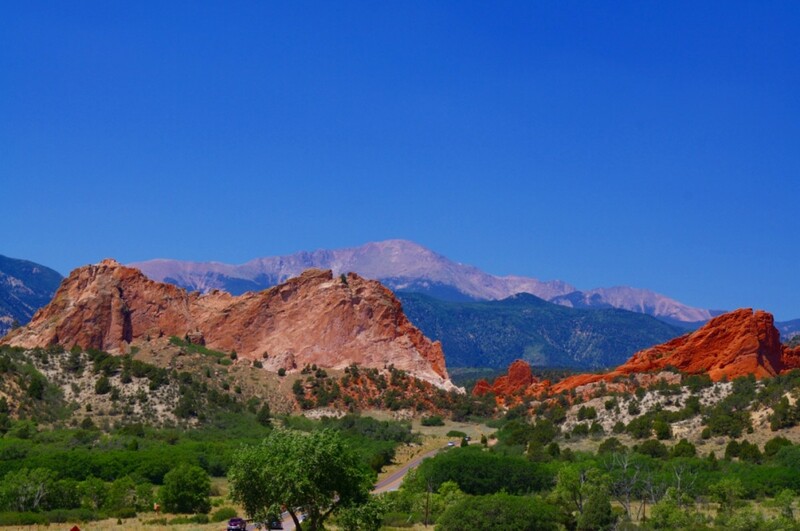 I highly recommend visiting the Garden of the Gods in Colorado Springs. 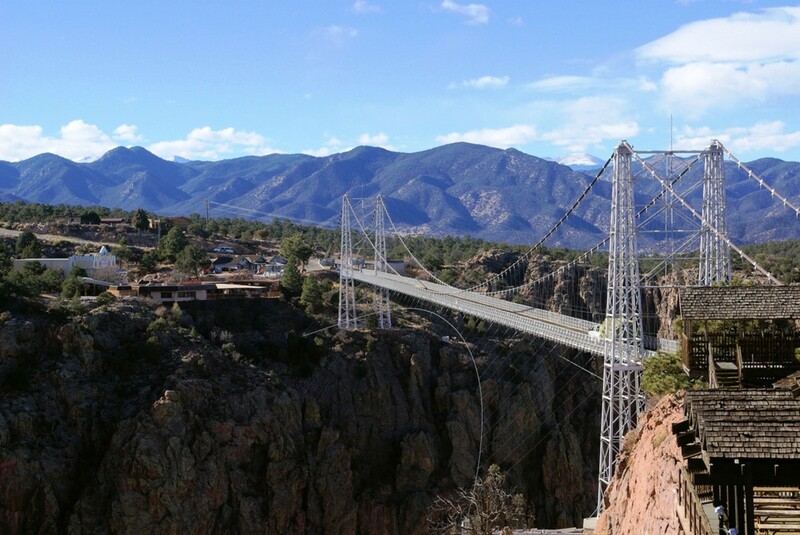 The Royal Gorge Bridge and Park offer something for the whole family. 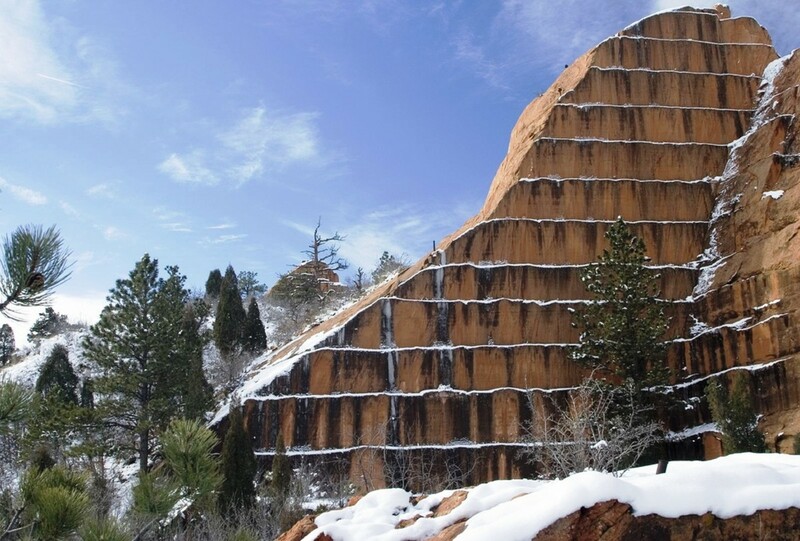 It is in nearby Canon City, Colorado. The bridge alone is worth a stop. The park offers rides, concerts, and many areas for a picnic. 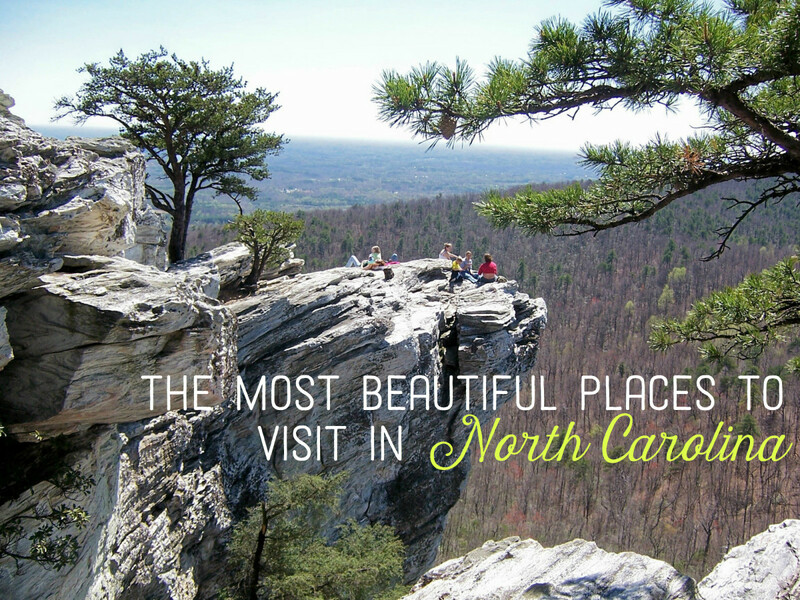 Here is a closer look at the best things to see and do there. 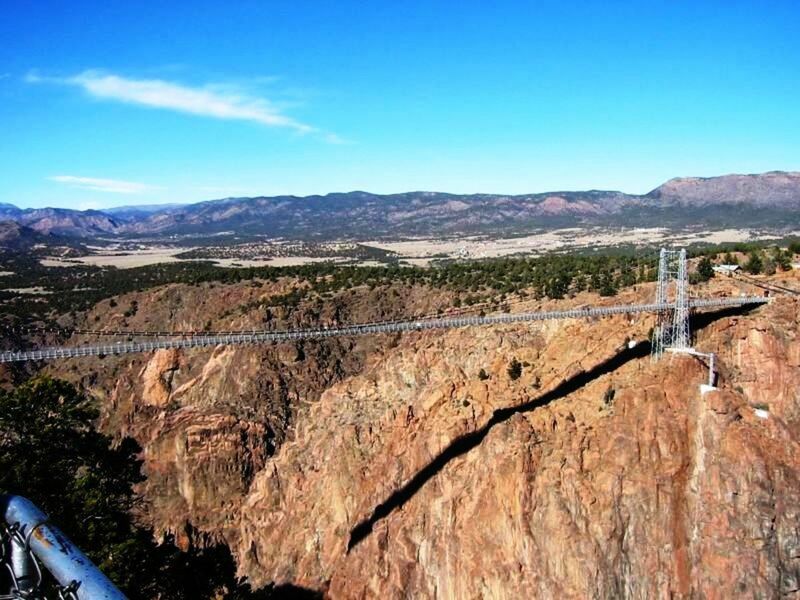 It is home to the highest suspension bridge in the United States that towers 956 feet above the Arkansas River. To give a perspective of how high it is, the Empire States Building would fit underneath the bridge with three feet to spare. Visitors cannot drive across the bridge but can walk out on it. The bridge has 360-degree views that are breath-taking. It alone is worth a visit. 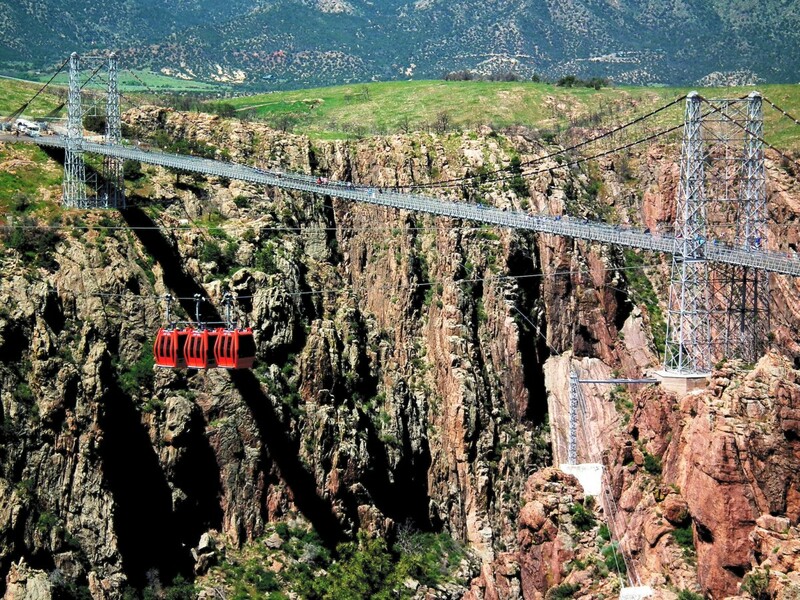 The Royal Gorge Aerial Gondolas offer incredible views of the gorge from 1,200 feet above it. 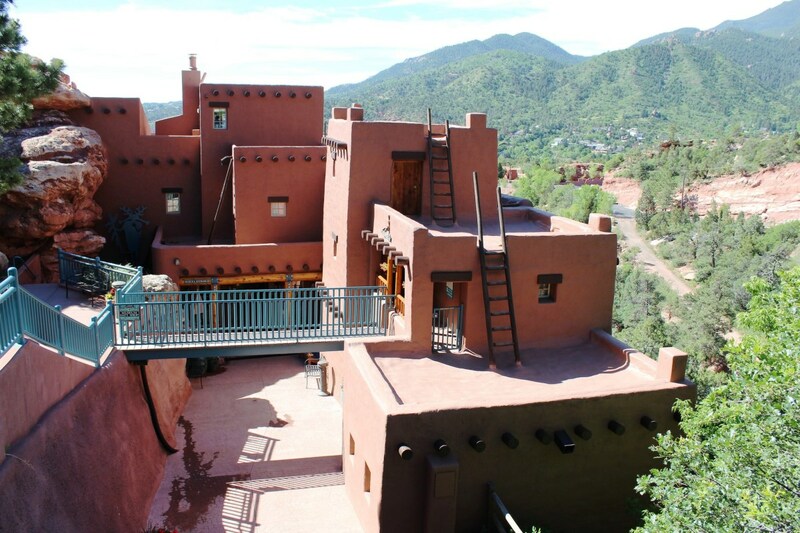 It is especially great for families as it allows everyone to enjoy the views. It is also a great way to photograph the bridge and gorge. 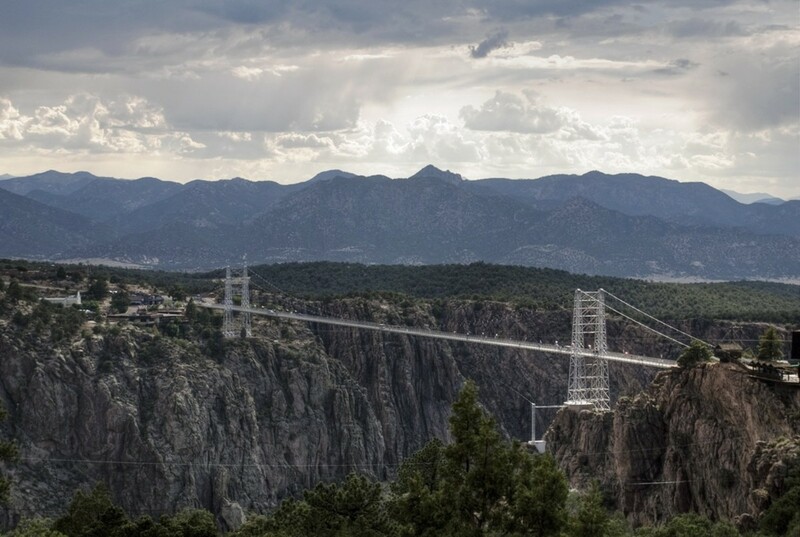 The Royal Gorge Cloudscraper Zip Line is the highest zip line in the United States and offers a great adrenaline rush. 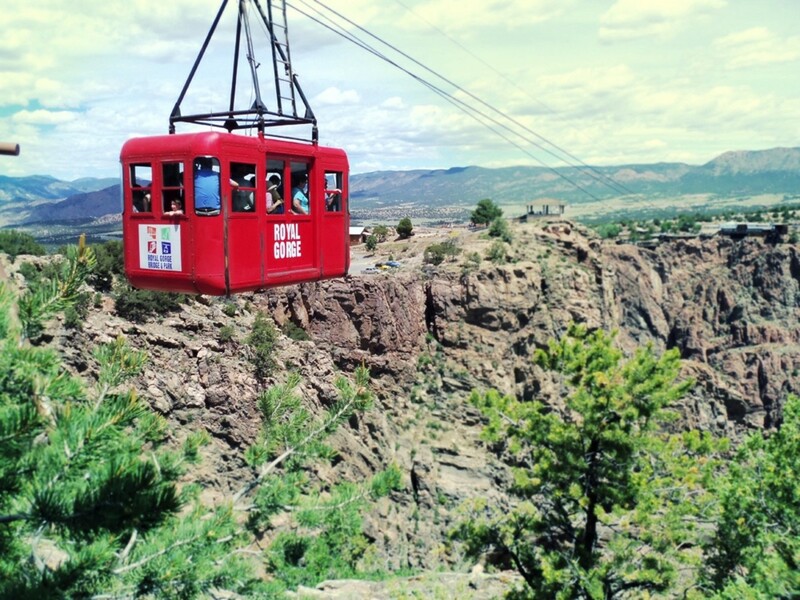 Riders soar at 1,200 feet above the Arkansas River below. They sit in a unique harness that allows them to be hands-free as they speed across the 2,200 feet of the gorge. Riders must weigh between 100-245 pounds. However, the wind can change the weight requirements. 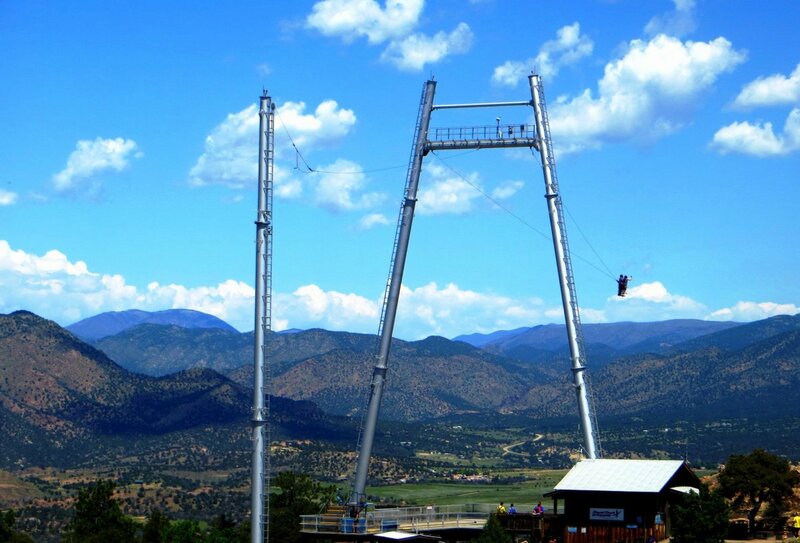 The Royal Gorge Skycoaster is not for the faint of heart. Nicknamed the World's Scariest Skycoaster because riders lay down and are swung back and forth at 50 mph on the edge of the gorge at 1,200 feet above it. Three people can ride at once. 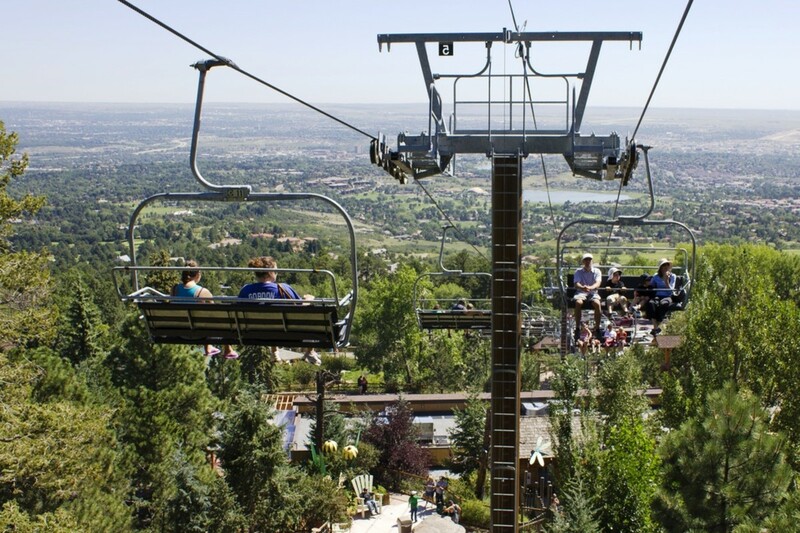 Thrill seekers will love this ride. The Tommy Knocker Playland is a tremendous place to let kids run around and get their energy out. 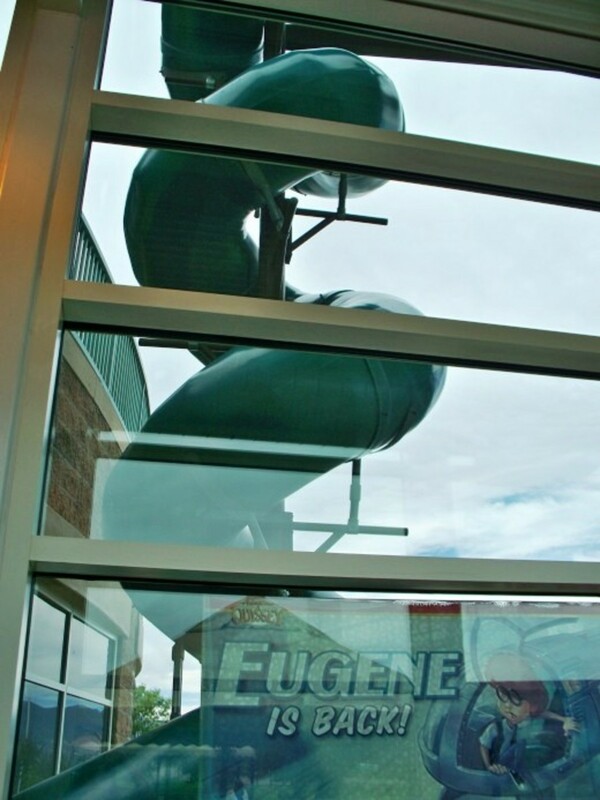 It is a three-story enclosed playland with nets, ropes, slides, tunnels, and a splash pad. There is also a vintage carousel for the kids to enjoy. 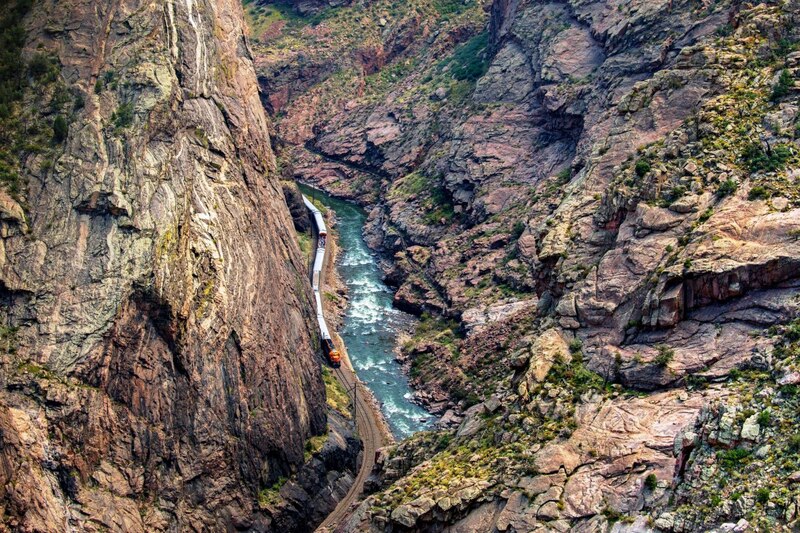 The Royal Gorge Railroad is another must when visiting the gorge. The train runs along the Arkansas River. The views are nothing short of spectacular. President Teddy Roosevelt in 1905 had this to say about the Royal Gorge Railroad, "the trip that bankrupts the English language!" They also run many special trains throughout the year including spring fling, murder mystery, family night, fall fling, Santa express train, and more. 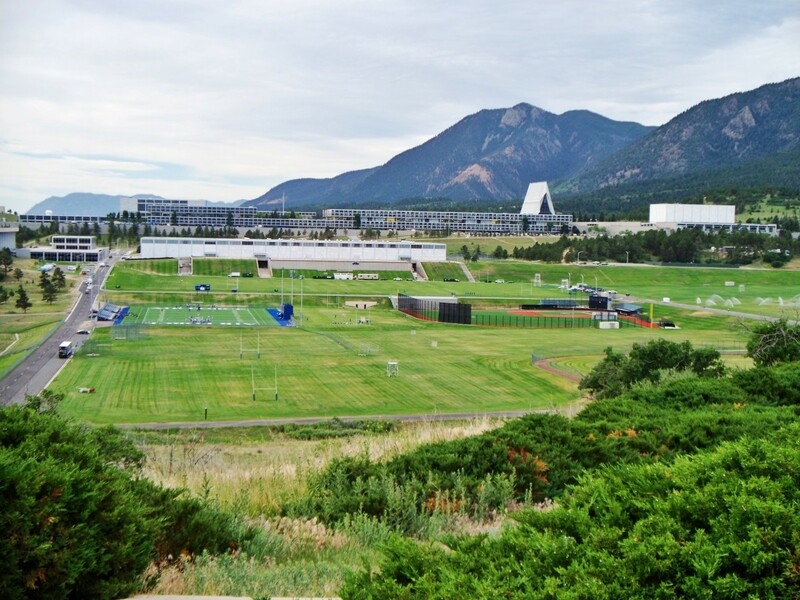 The United States Air Force Academy is one of the top tourist attractions in Colorado. 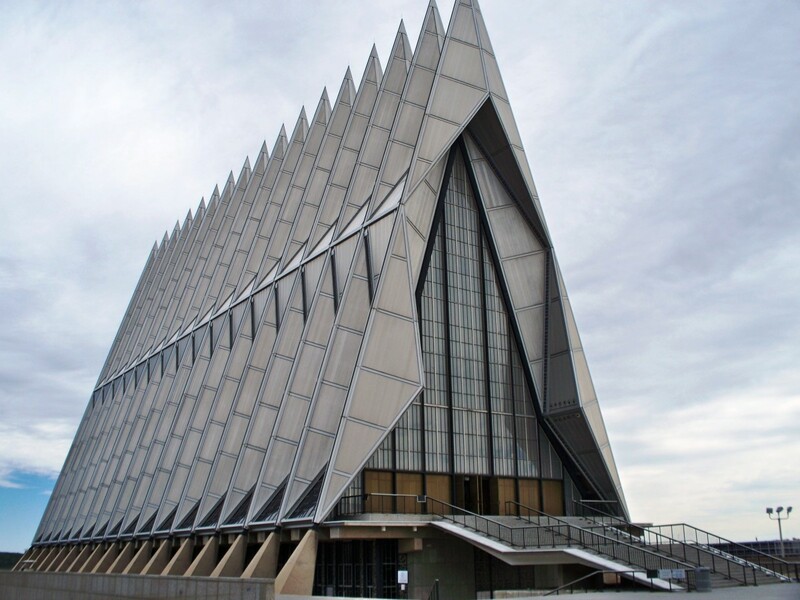 The main attraction is the U.S. Air Force Academy Chapel that is unique and beautiful. It is about 150 feet high and shaped like a spacecraft or Star Wars shuttle. 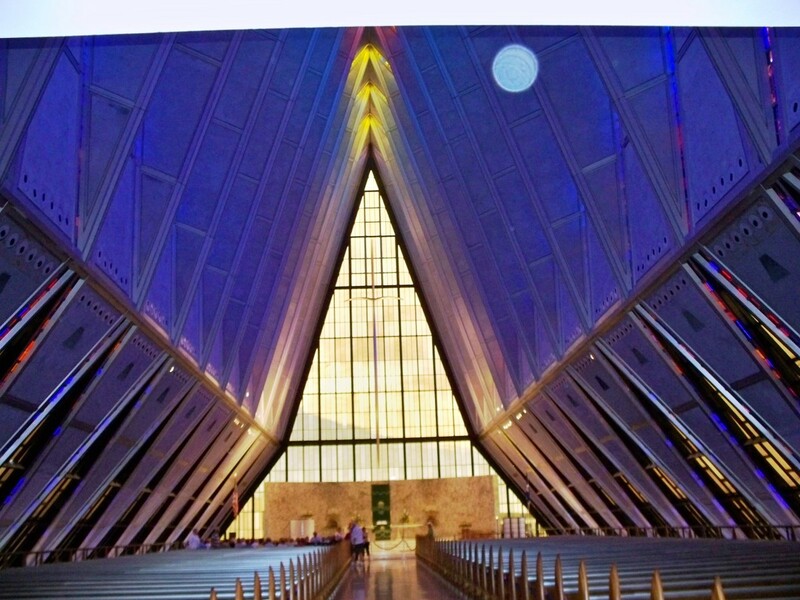 Inside the chapel, it is lit up in different colors because of its stain glassed windows. 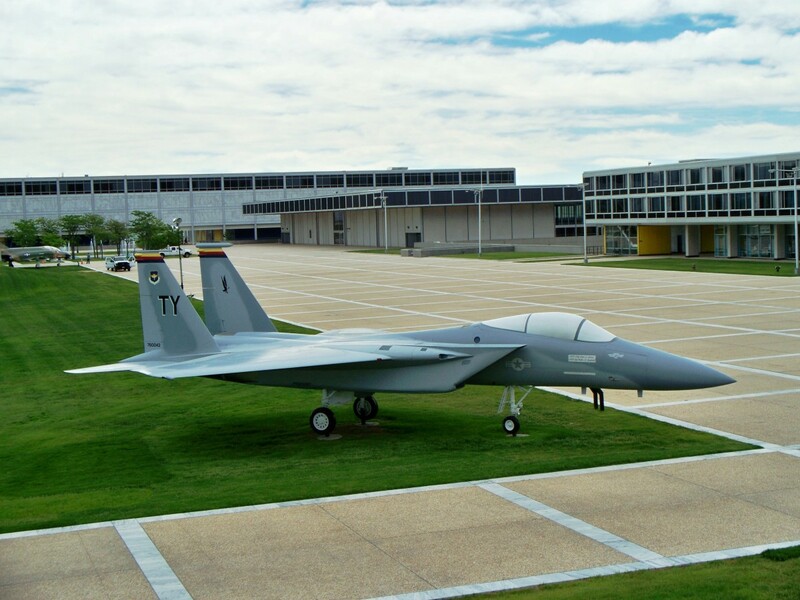 It will be closing on June 18, 2019, for restoration which will take several years to complete. 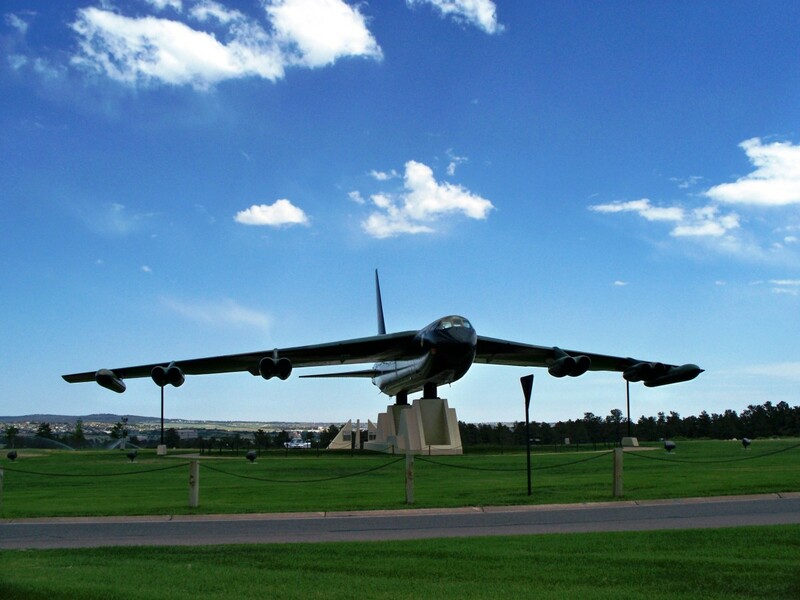 The other main attraction is the full-size B-52 bomber display near the entrance. It is a huge aircraft. 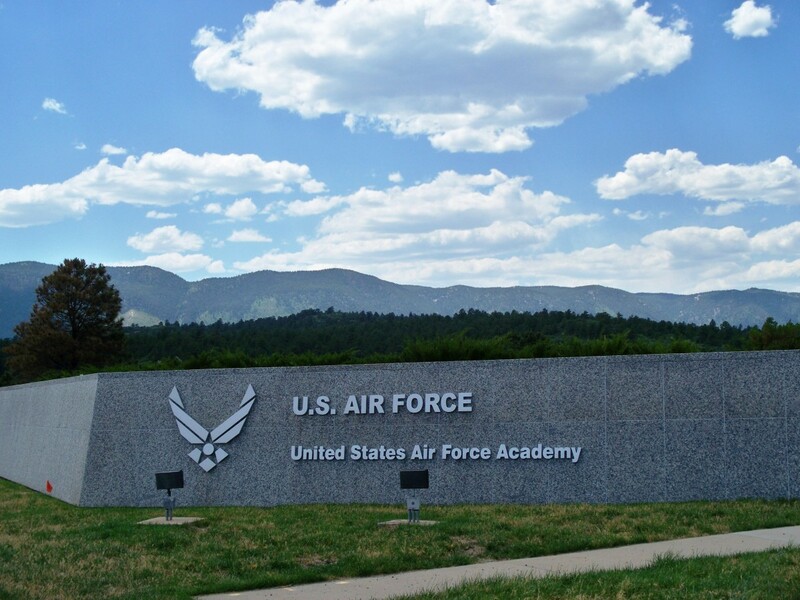 Hiking and biking are also options as the academy has several trails. 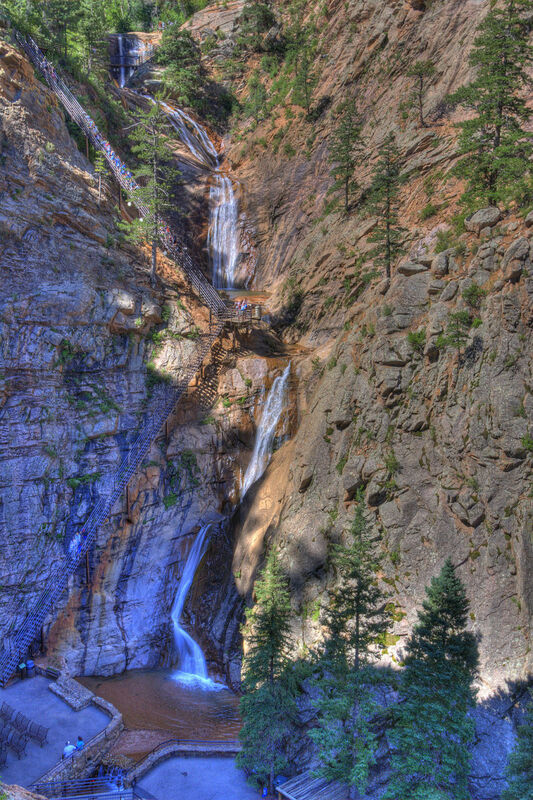 Seven Falls in Colorado Springs is made up of seven cascade waterfalls that fall a total height of 181 feet. 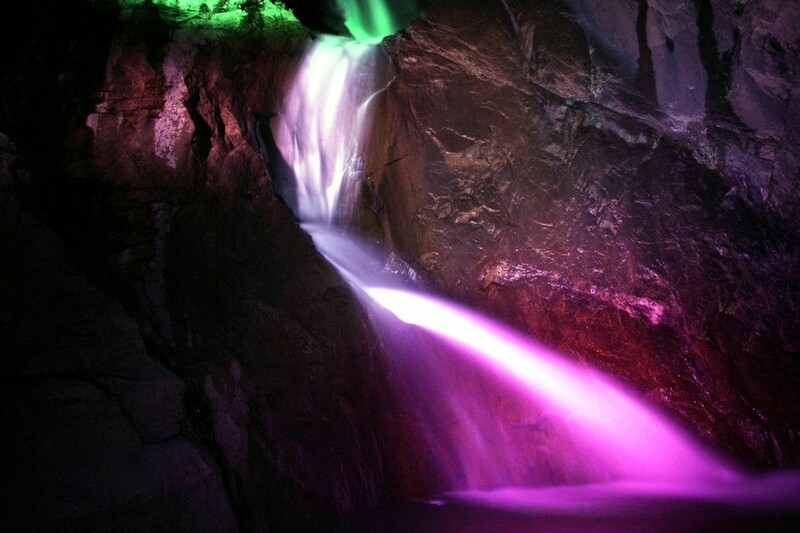 At night, the falls are lit up in different colors. It is spectacular. 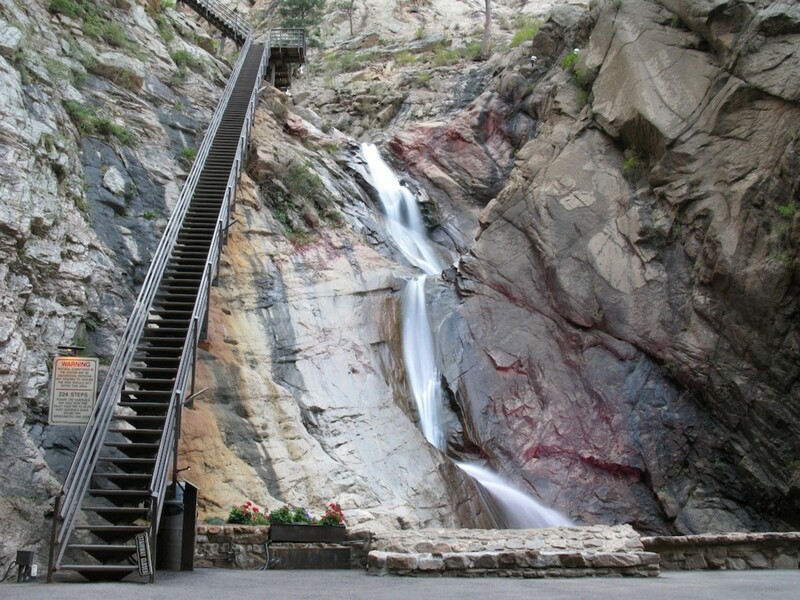 Visitors can climb up the 224 steps to the peak of the falls. The Eagle's Nest viewing platform is another way to see the falls and is accessible by elevator. 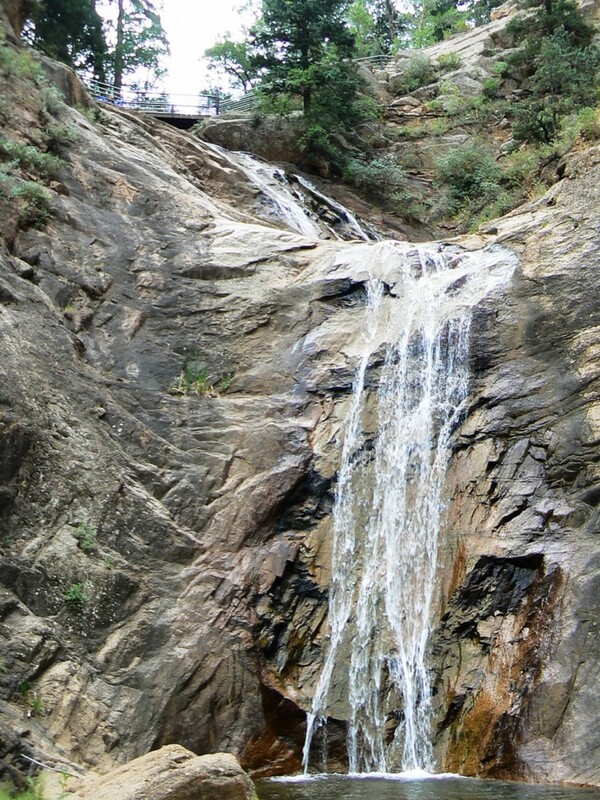 There are two beautiful trails to hike at Seven Falls. 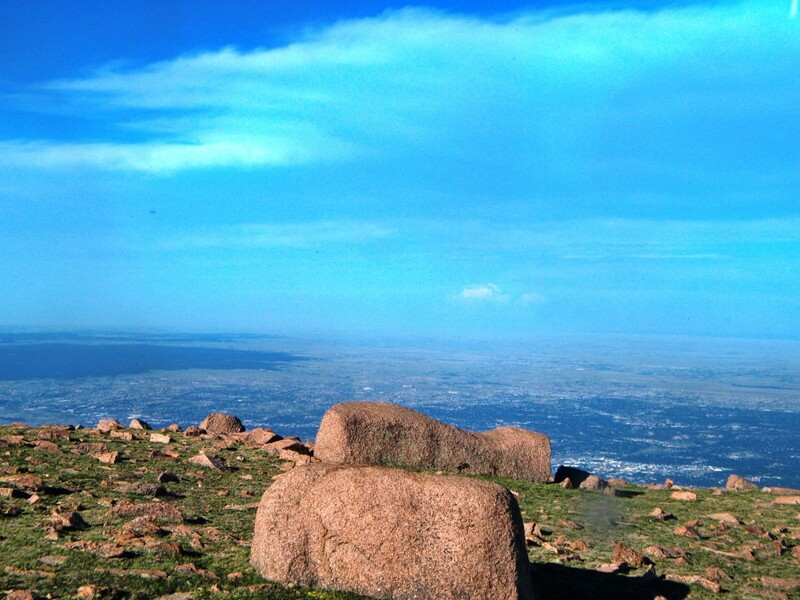 The Inspiration Point Trail is about an hour round trip and offers incredible views of the Great Plains and Colorado Springs. 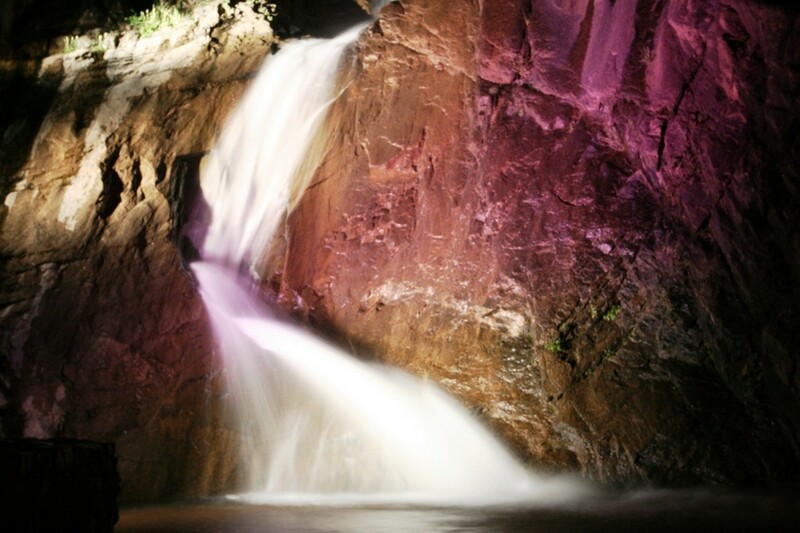 The Midnight Falls Trail is shorter and leads to Midnight Falls which is on the shorter side. 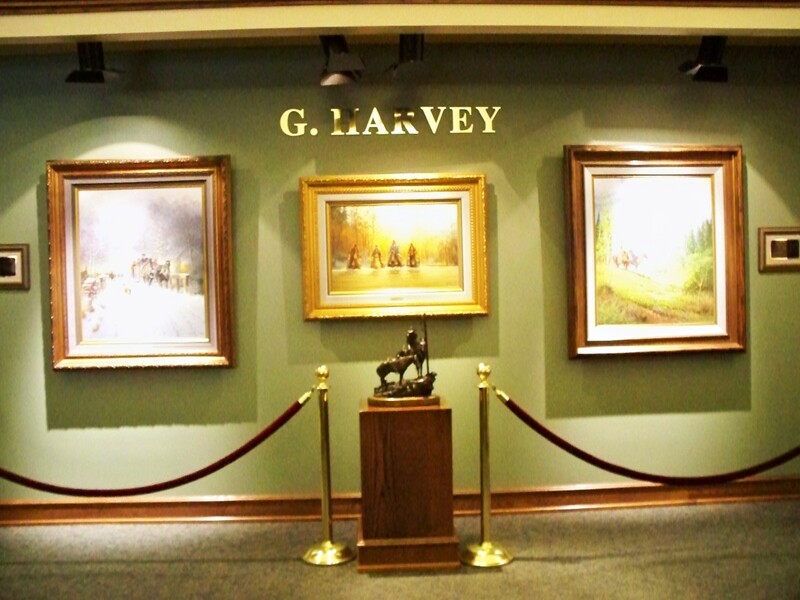 Visitors looking for souvenirs should visit the Seven Falls Shop which has a variety of things to purchase. 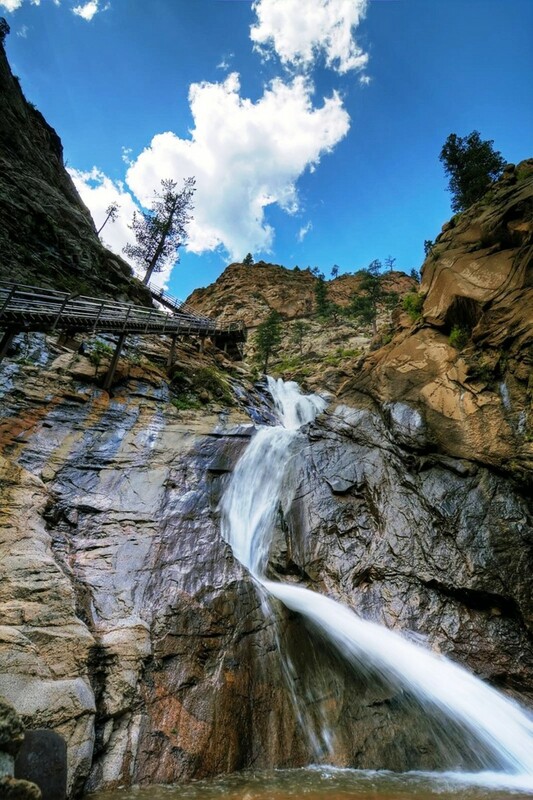 Seven Falls is a must see when visiting Colorado Springs. 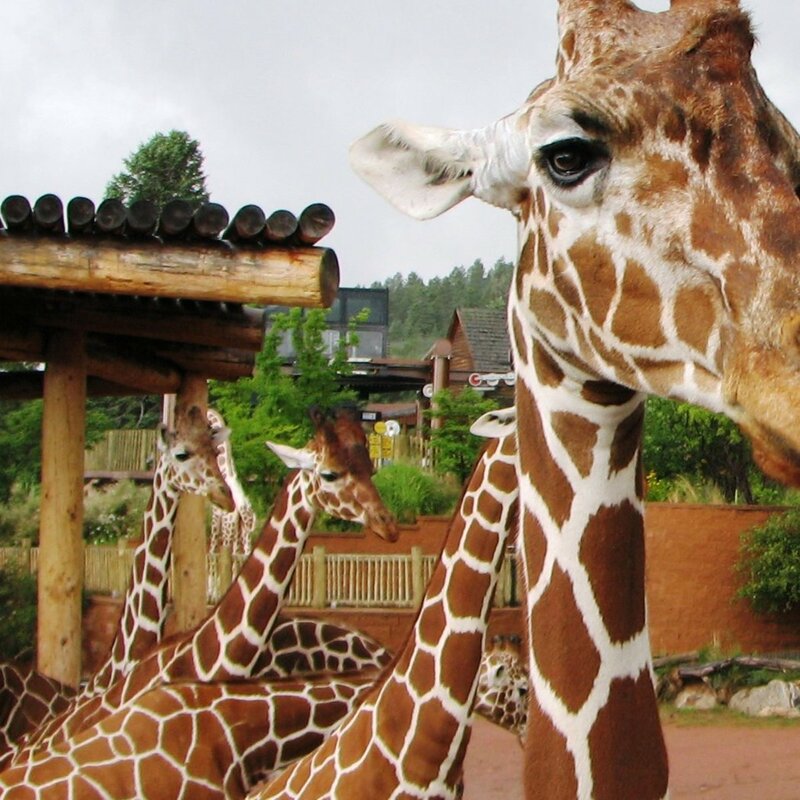 The Cheyenne Mountain Zoo is the only zoo in the United States located on the side of a mountain. 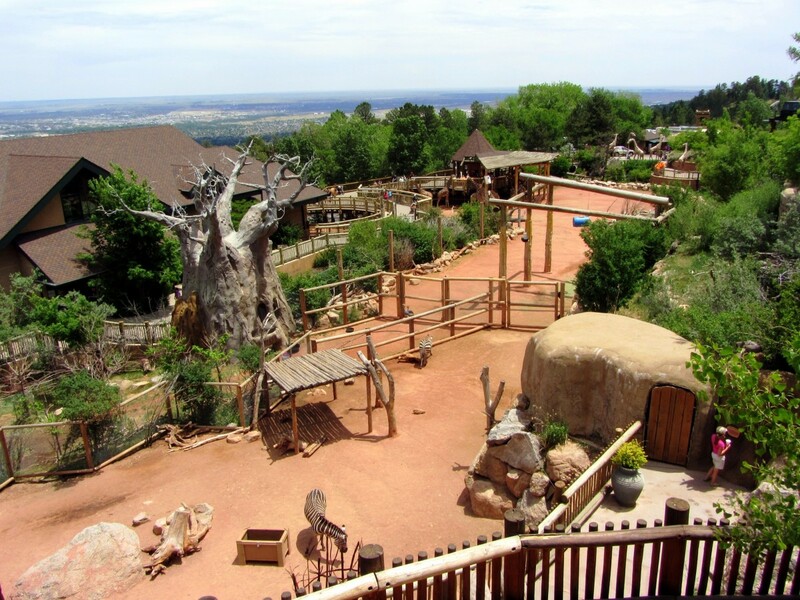 It is home to 750 animals and offers beautiful views of Colorado Springs. It is unique because it is home to the largest herd of reticulated giraffes (also known as a Somali giraffe). 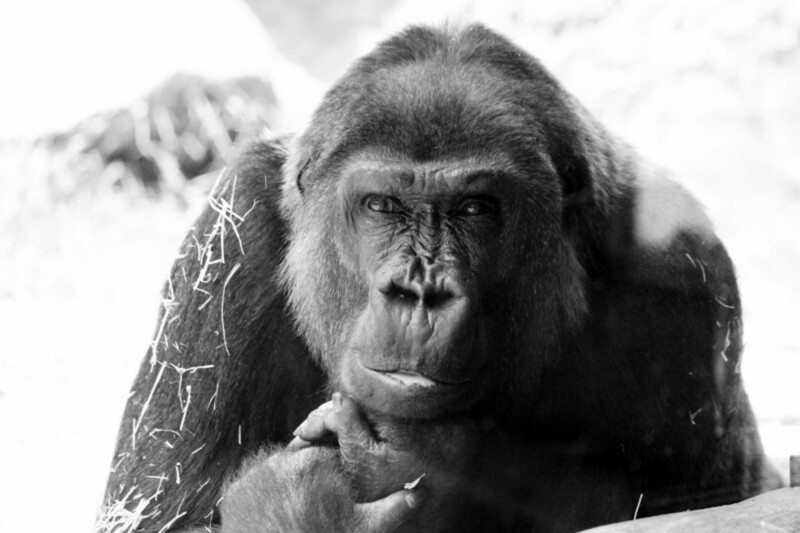 It is also unique because the zoo was designed to allow visitors to get closer to the animals than a typical zoo. There is an antique carousel ride and a Mountaineer Sky Ride that the kids will love. 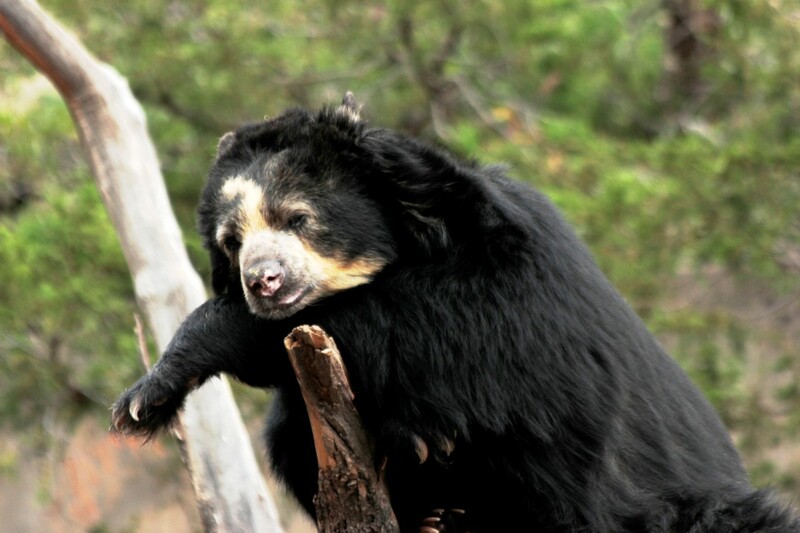 The Cheyenne Mountain Zoo is a great place to spend a few hours. 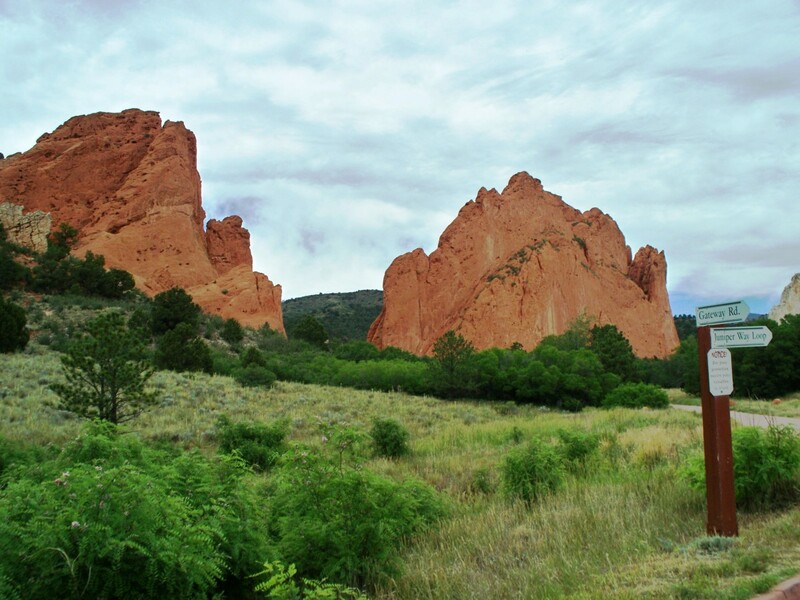 Red Rock Canyon offers rust-colored rocks and is a terrific place for outdoor lovers. 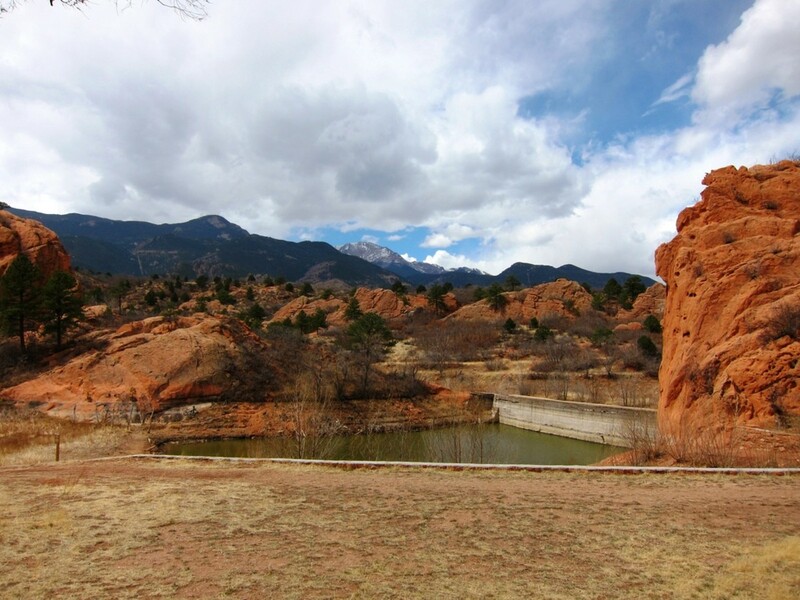 There are miles of hiking and biking trails as well as an open-air pavilion for live entertainment and evening movies. It is a great place to walk and take in the beauty of the area. 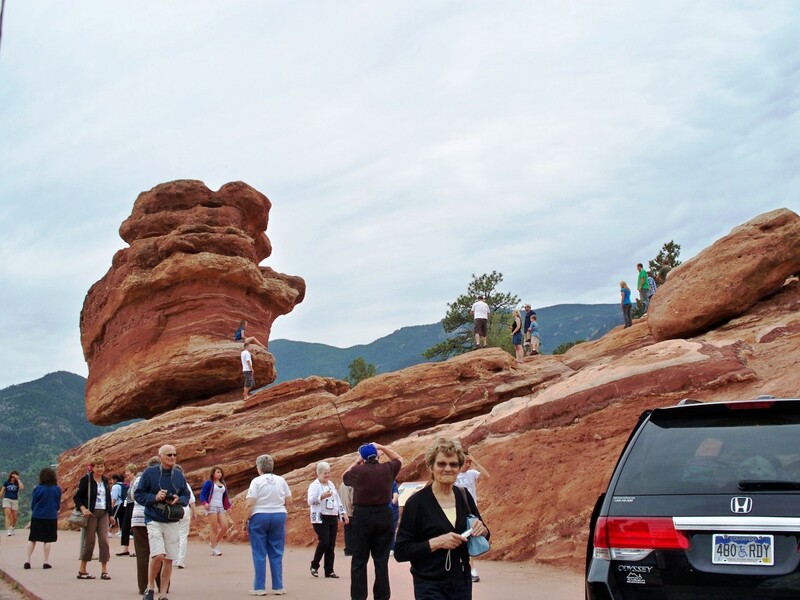 This area also attracts photographers because of the beautiful rock coloring. Red Rock Canyon is a great place to visit. Cave of the Winds is well worth a visit. 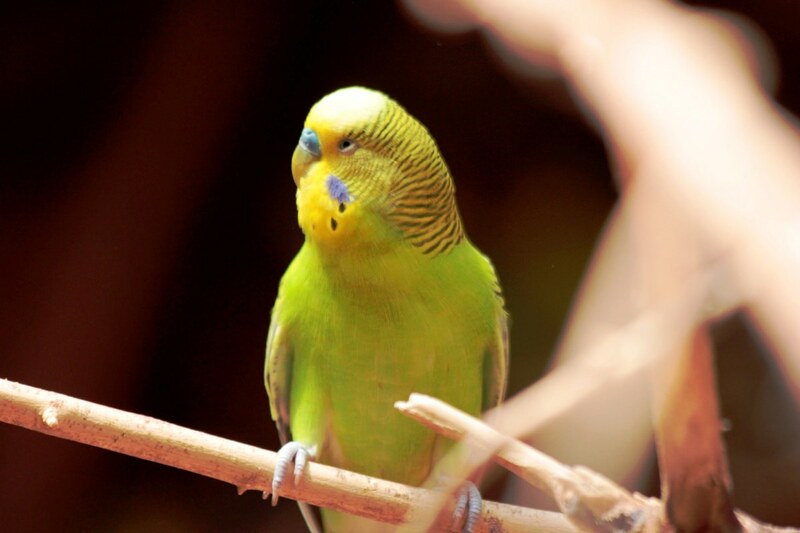 It was discovered by two brothers, John and George Pickett, in 1880. 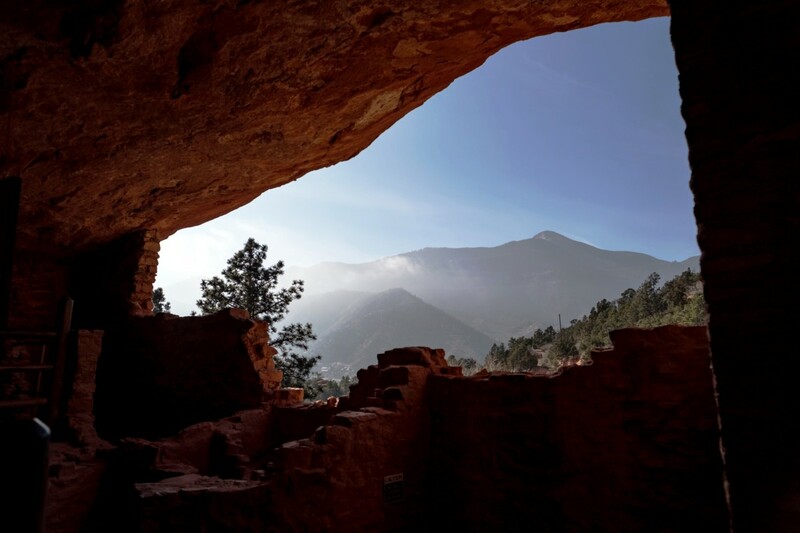 They were looking for caves in Williams Canyon and found a small cave. 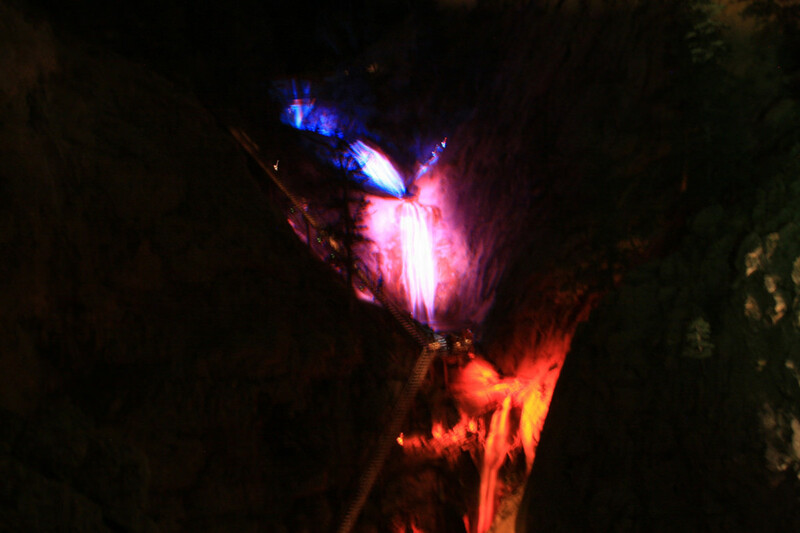 The flame on their candle flickered at the entrance to the cave, which meant that the wind was coming through the cave. They crawled through the opening and found a big chamber. George Washingon Snider excavated the cave in 1881 and was soon giving tours. 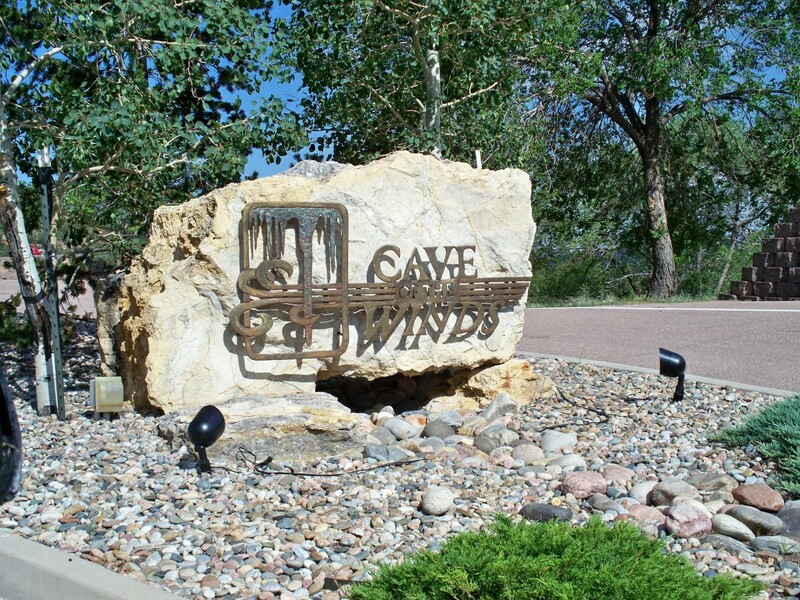 Cave of the Winds has been offering tours ever since. 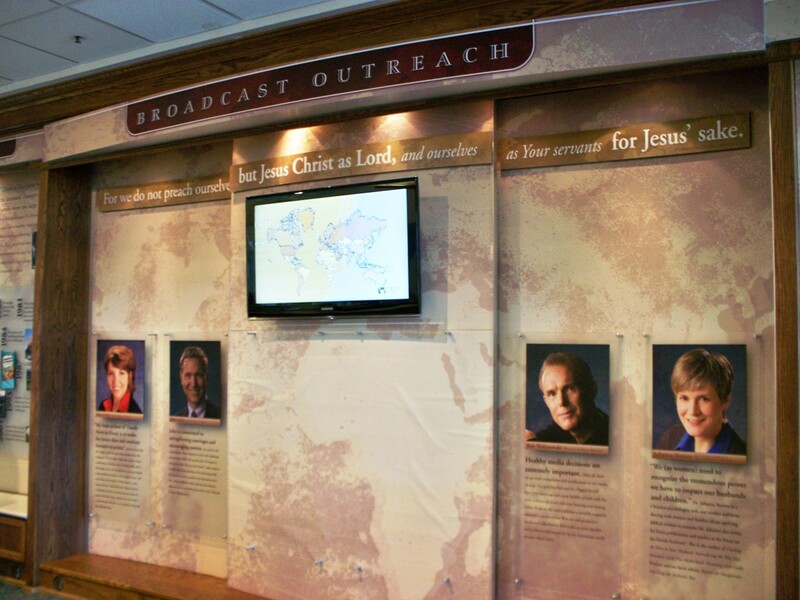 Here is a closer look at the tours that the cave offers. 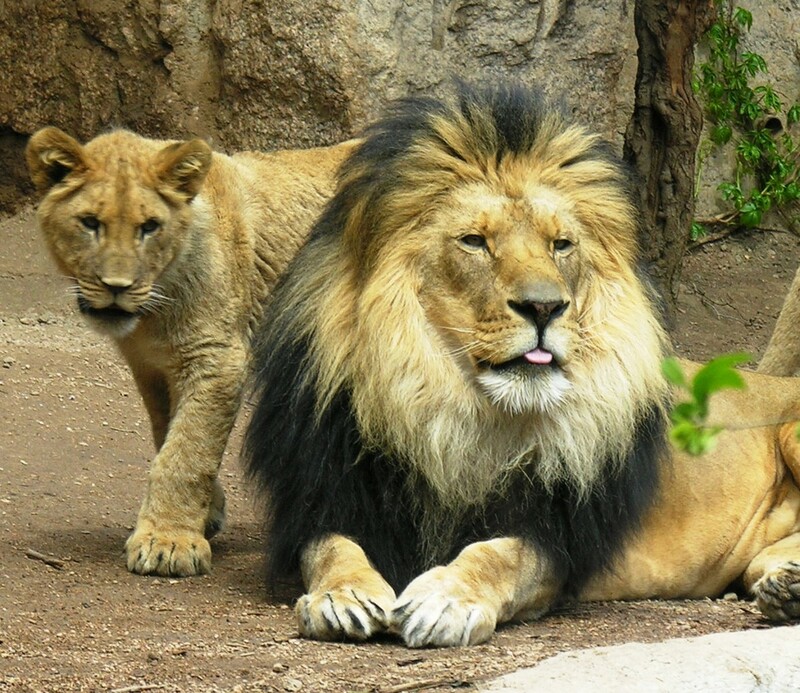 The Discovery Tour is perfect for families. It is about 45-60 minutes and includes 15 rooms. 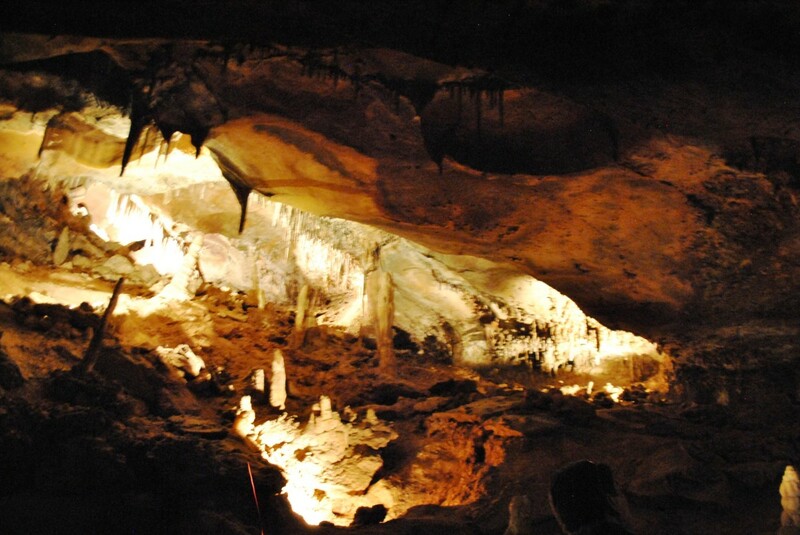 Visitors learn about the geology of the cave and its history. 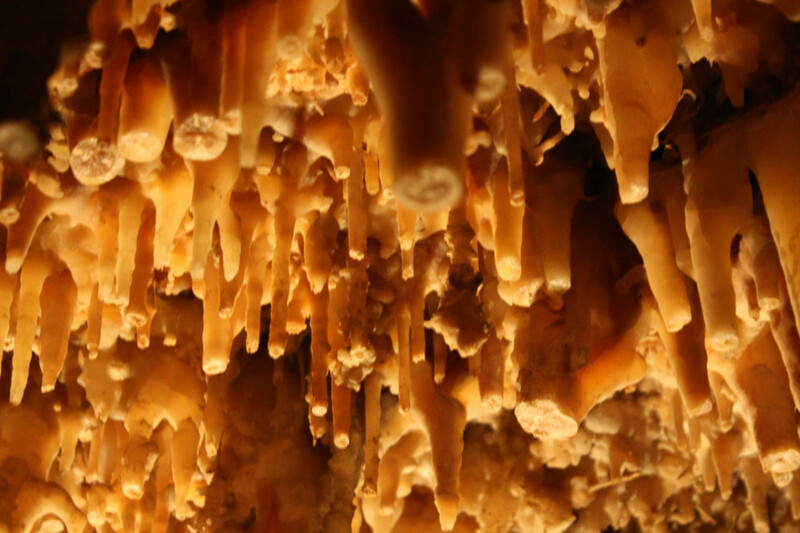 They will also be able to see some of the most beautiful formations. My family and I took this tour and loved it. 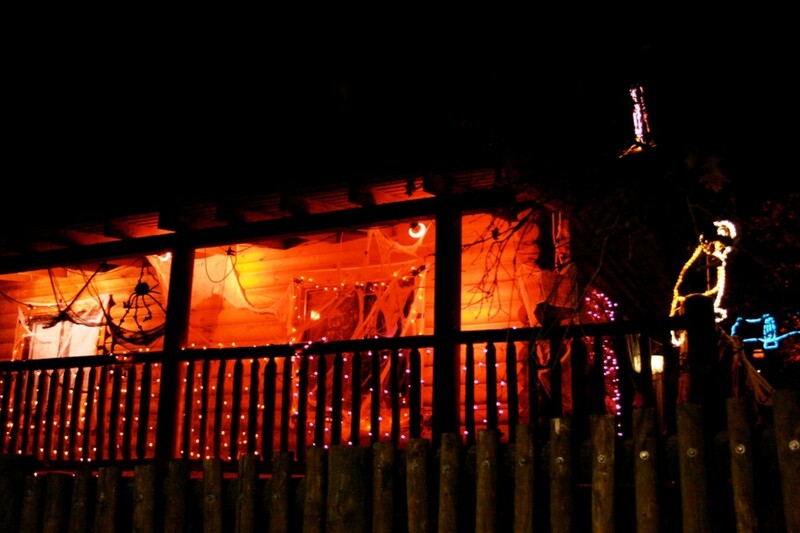 The Lantern Tour is for those who like an adventure. Visitors explore the unimproved areas of the cave by candlelight. 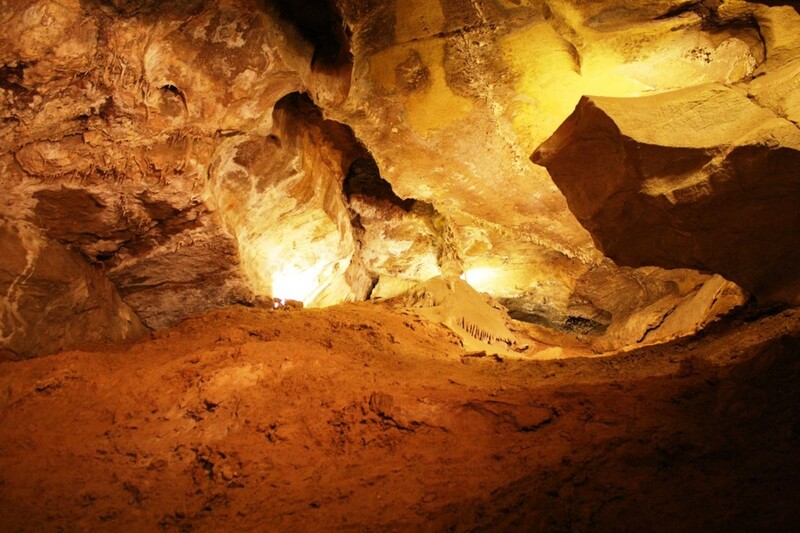 It is a much more rustic tour as visitors will pass through narrow dark tunnels through mud and on the original floor of the cave. 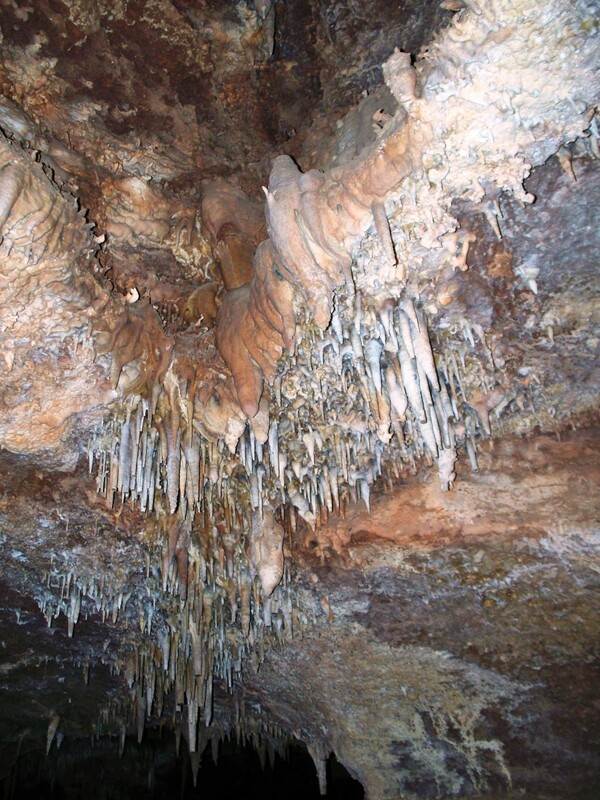 The tour guide will explain the history of the cave as well as tell some ghost stories. The Lantern Tour lasts about 90 minutes. 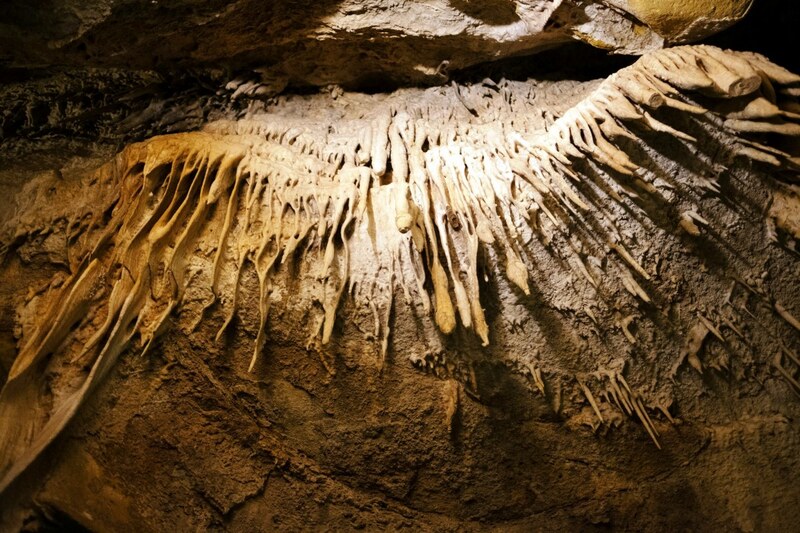 The Caving 101 Tour is much longer. 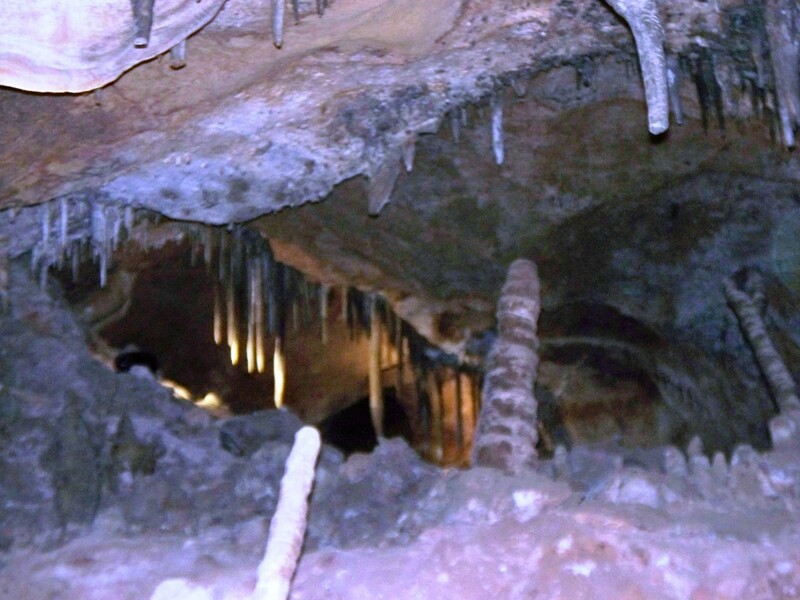 It is between 2 and 2.5 hours that explores the undeveloped depths of the cave. 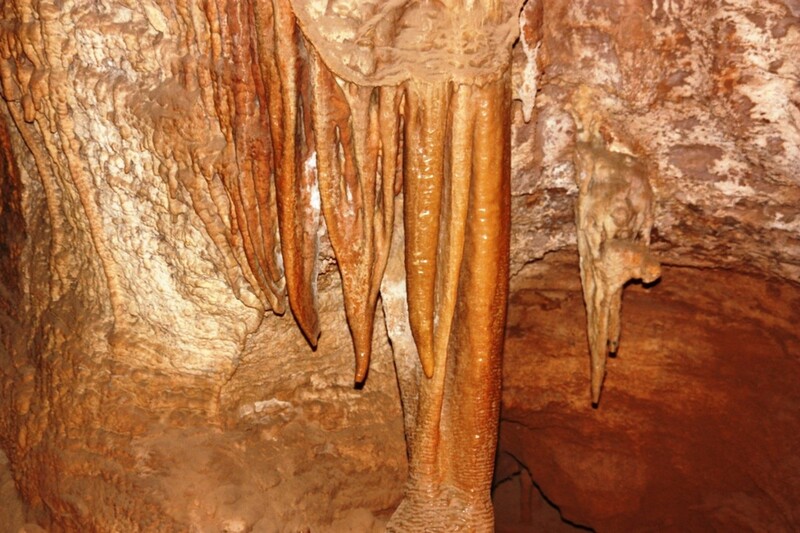 Visitors will climb, crawl, and pass through wet passages of different sizes. 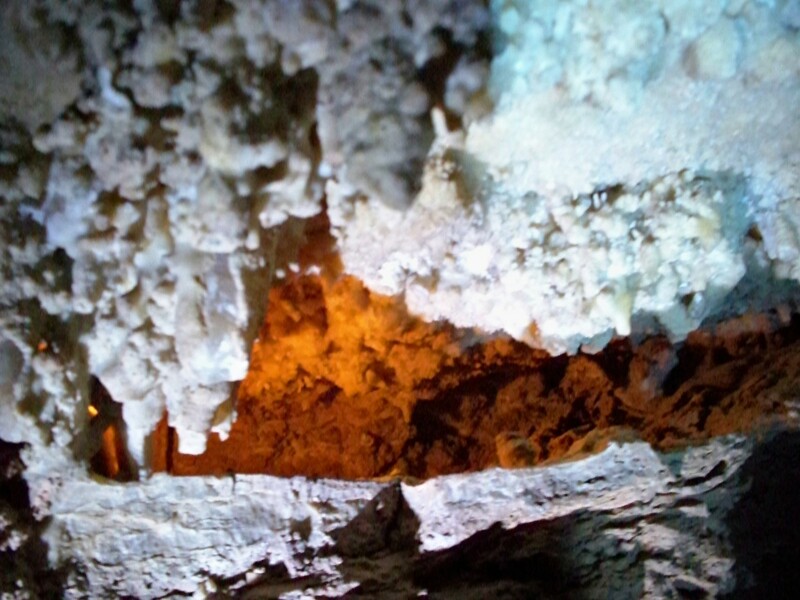 The tour guide teaches basic caving skills as well as speaking to the geology and history of the cave. Cave of the Winds offers many other things to do. 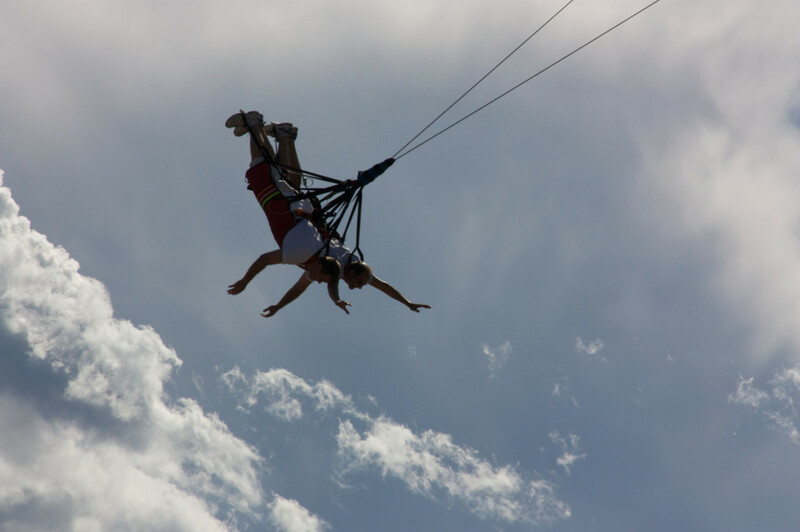 Frontier Zip Lines is a chance to zip 80 feet above the canyon floor and is a 1/4 mile long. 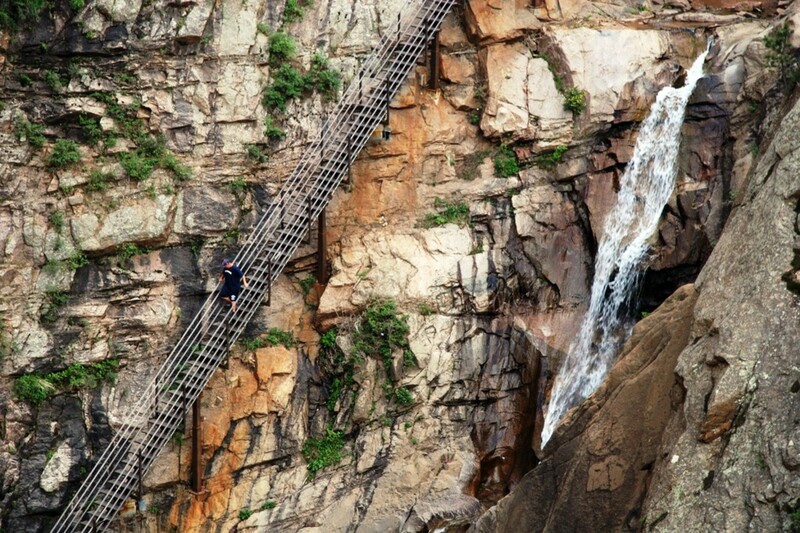 Via Ferrata Canyon Tours allows visitors to climb the canyon walls using cables and ladders. It is great for inexperienced climbers. 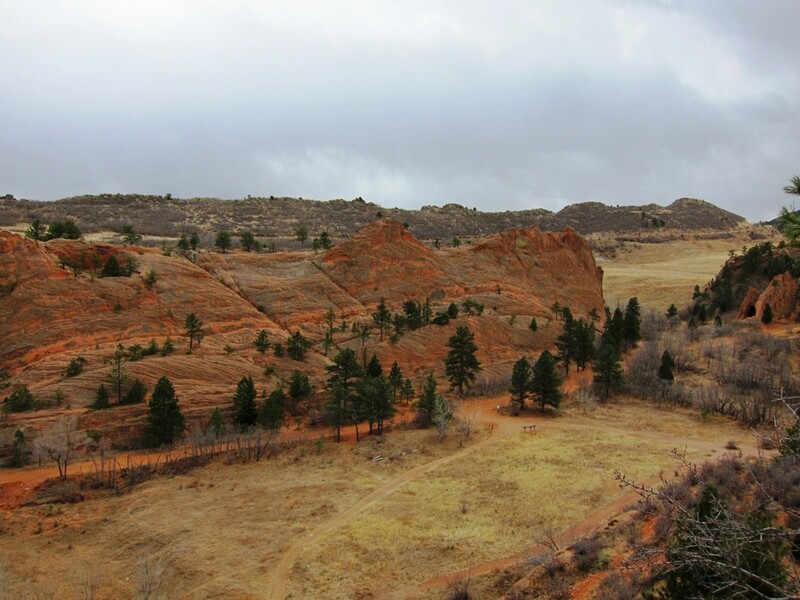 The Bat-A-Pult flies visitors across the canyon at speeds up to 40 mph. The Windwalker Challenge Course is a three-story obstacle course that is fun for kids of all ages. The Terror-dactyl plunges riders into the canyon at close to 100 mph. It is awesome! 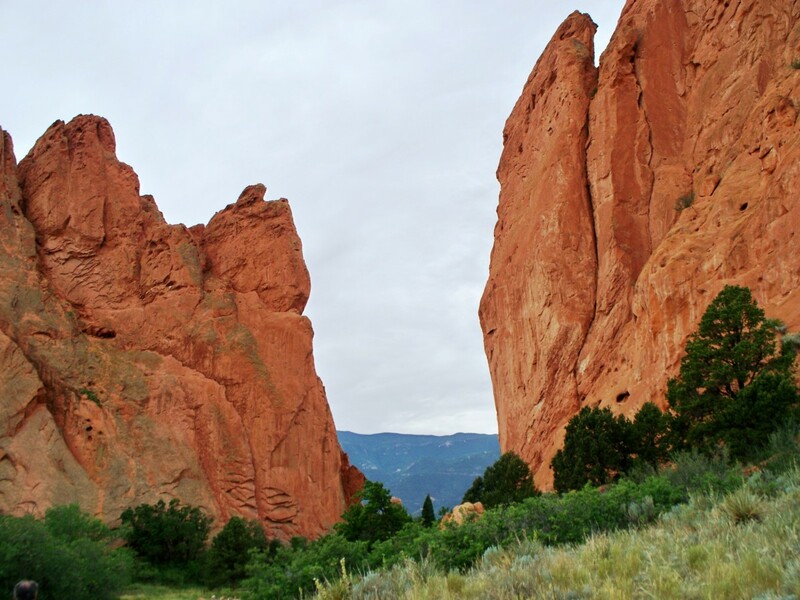 Cave of the Winds is a must-see in Colorado Springs. 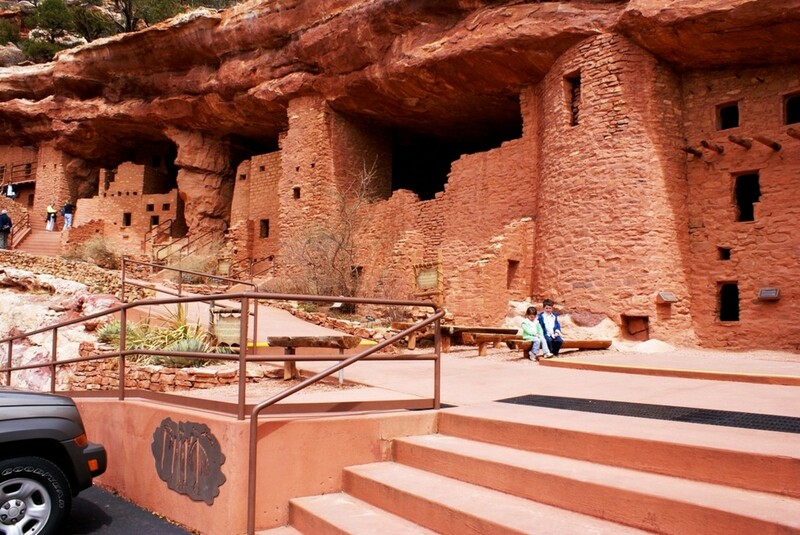 The Manitou Cliff Dwellings in Colorado Springs offers a look back in history between 800 and 1,000 years. 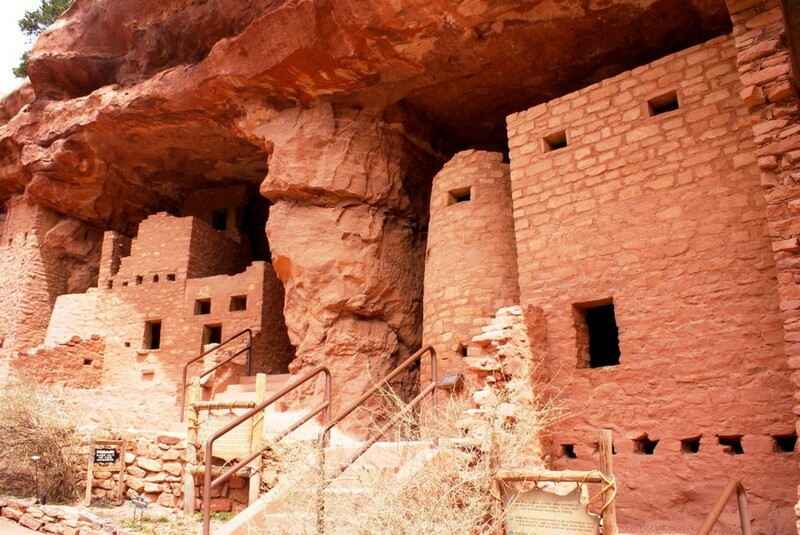 The Anasazi tribe lived in the dwellings. 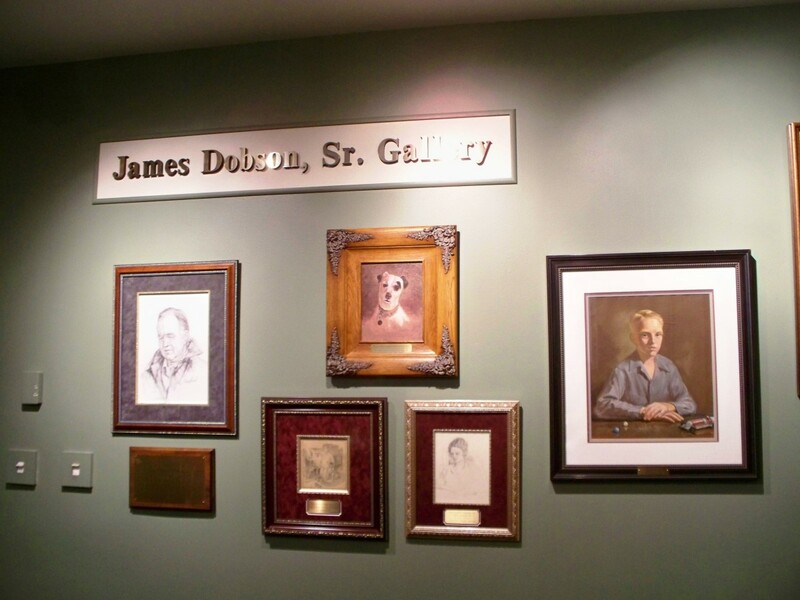 There are 40 different rooms to explore that show how indigenous people of the region lived. Visitors are encouraged to touch the structures. 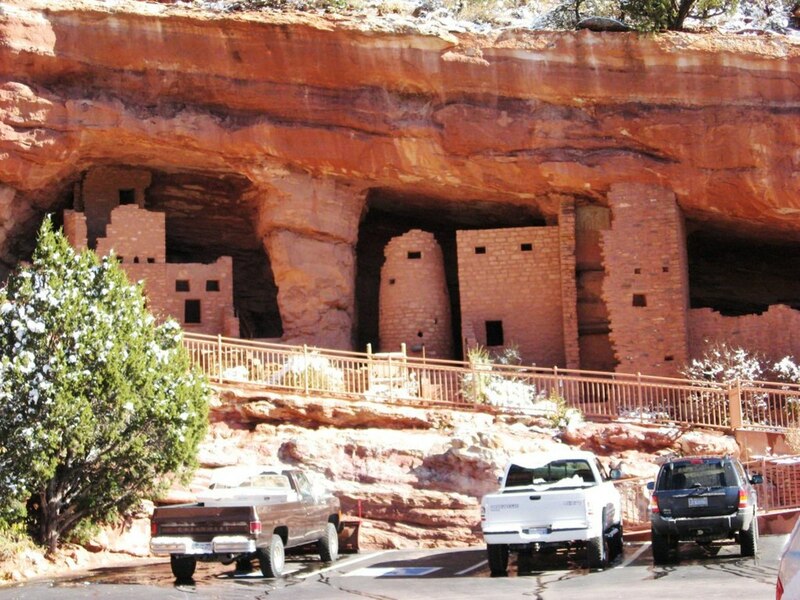 McElmo Canyon in southern Colorado was the original home to these structures before they relocated to the Manitou Cliff Dwellings in the early 1900s. 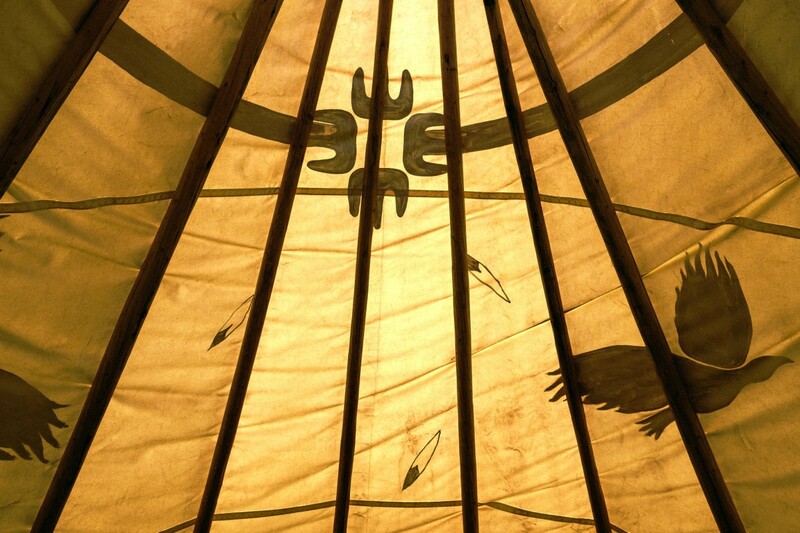 Check out the gift shop for beautiful Native American art, jewelry, crafts, and more. 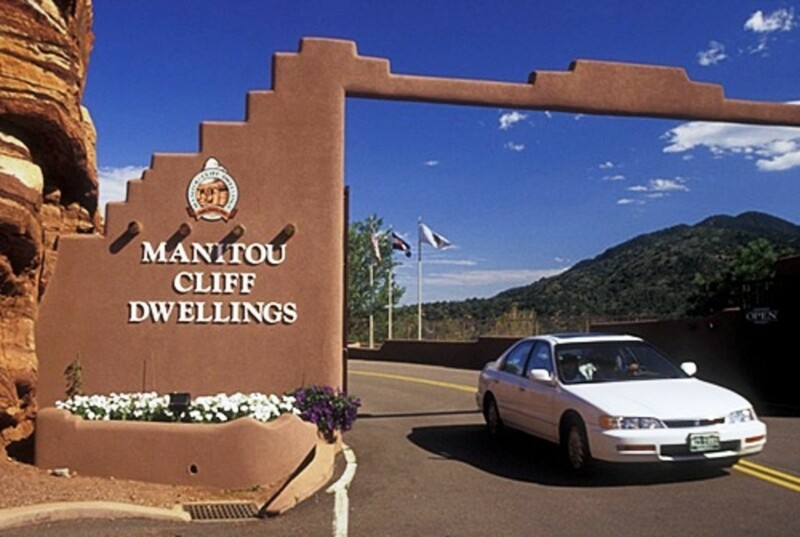 The Manitou Cliff Dwellings is a must-see when visiting Colorado Springs. 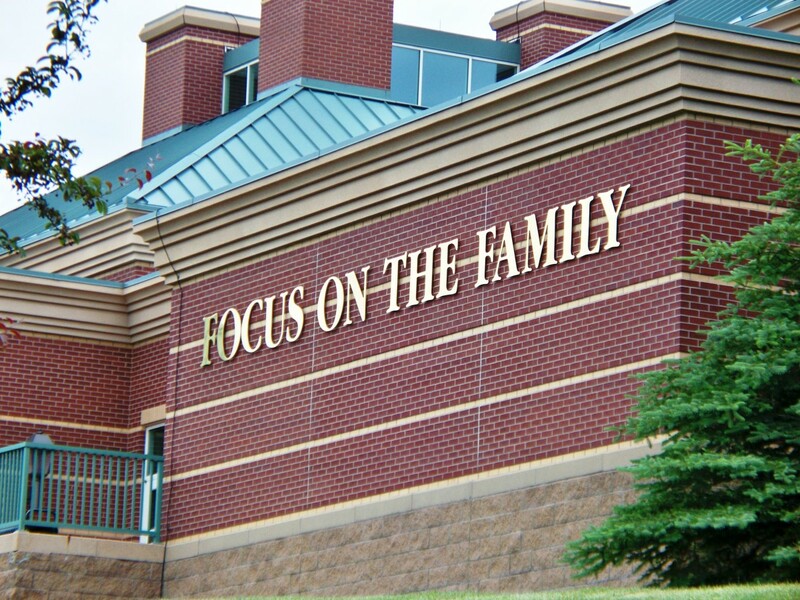 Focus on the Family is a Christian organization that seeks to provide information and help for families on topics such as marriage, parenting, and more. 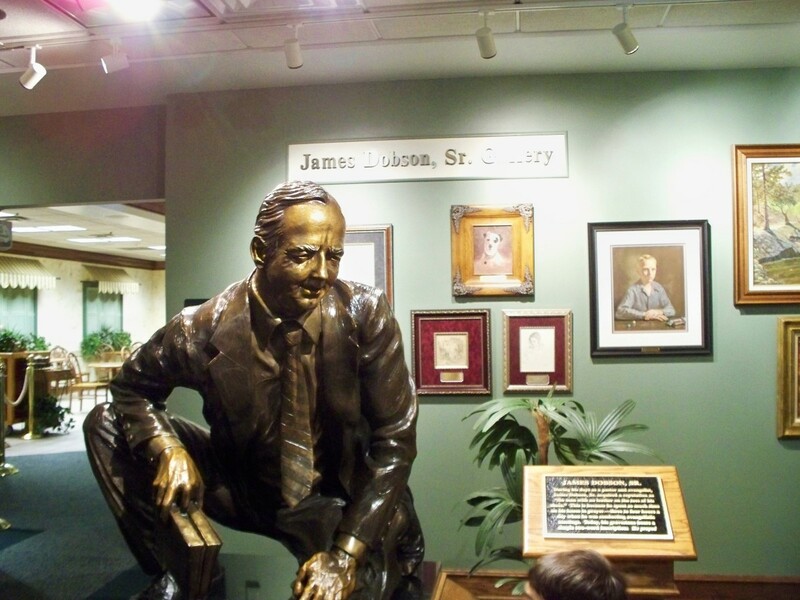 The Focus on the Family Welcome Center is a great place to stop for families with young kids. They have a play area for kids with a three-story slide, Whit's End Soda Shoppe, and more. For the adults, there is a film about what Focus on the Family is all about, G. Harvey Art Gallery, Solid Grounds Coffee, and a bookstore. We spent about two hours there when we visited. 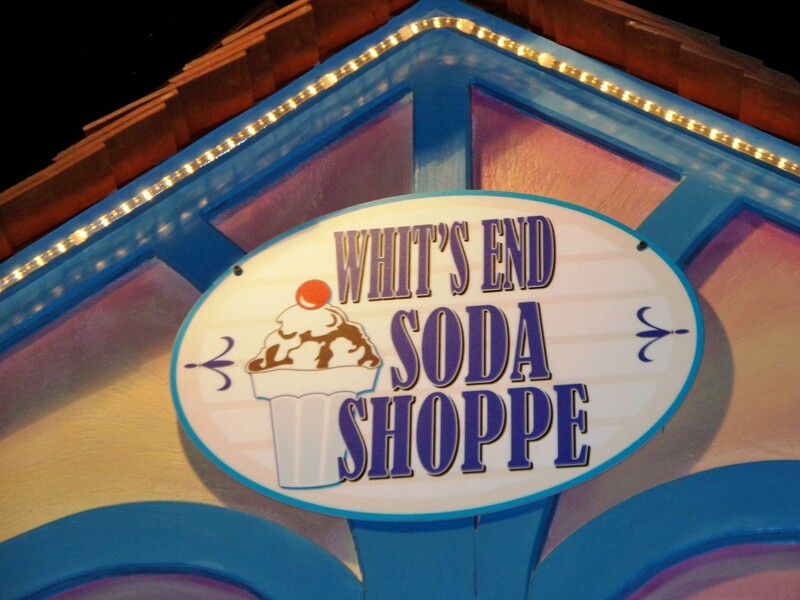 My kids loved the play area and Whit's End Soda Shoppe. 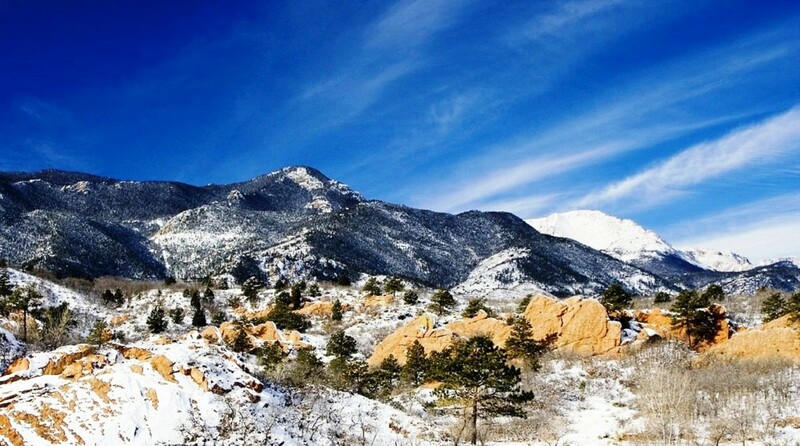 Colorado Springs is a fun place to visit. There are so many unique things to see and do there. My family and I loved our visit there and cannot wait to go back again. What a great list! 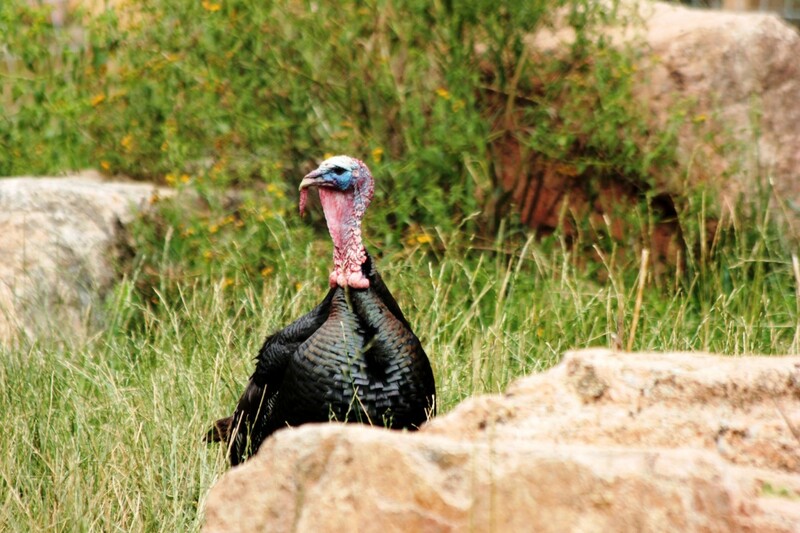 Now I need to get out to Colorado soon to see some of these.